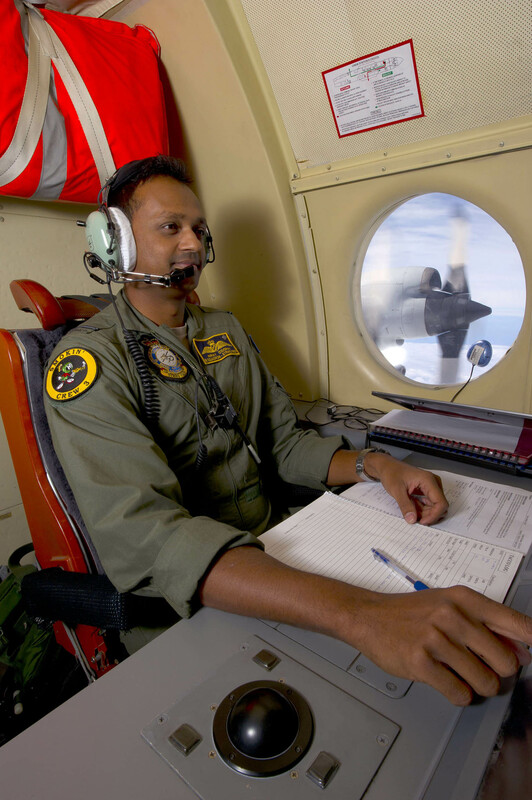 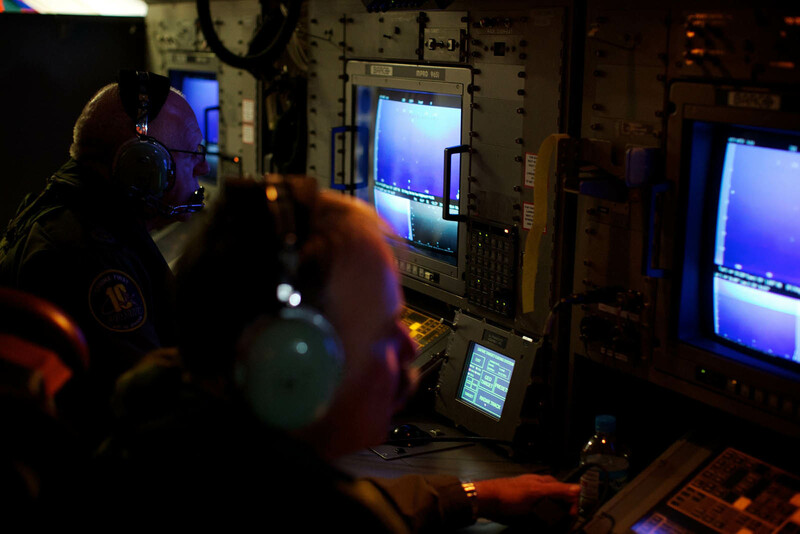 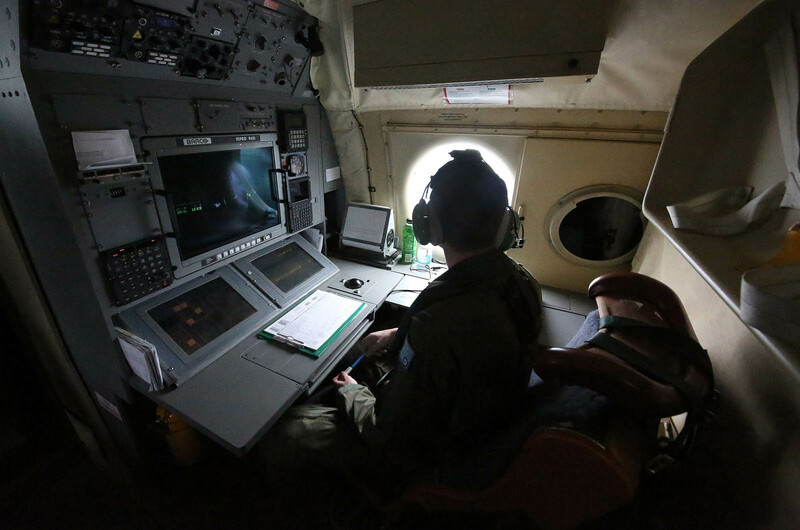 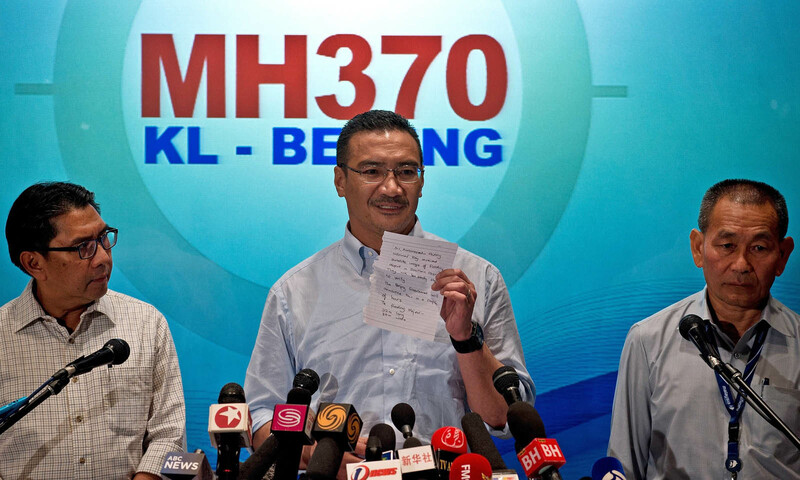 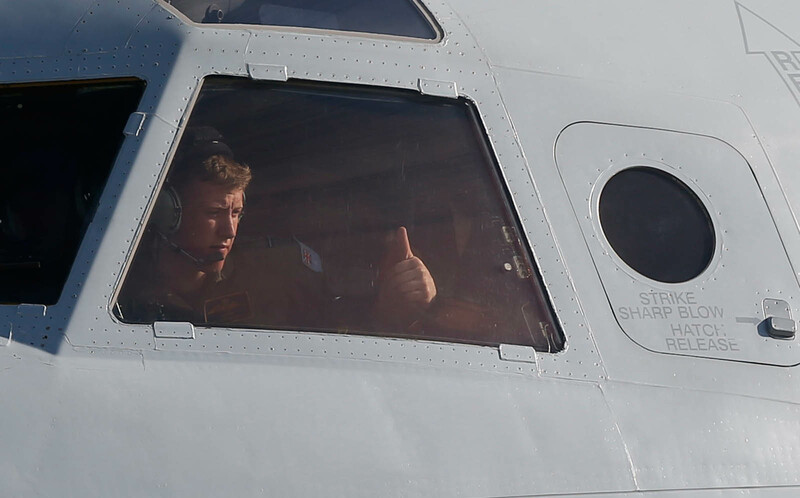 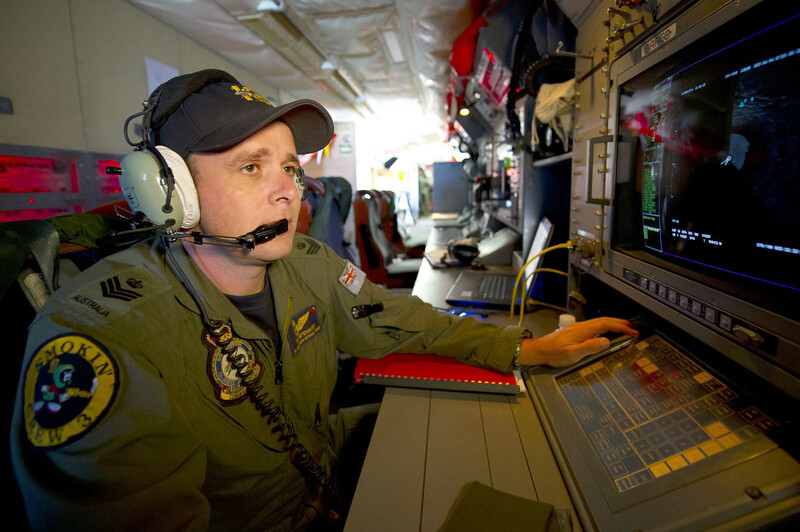 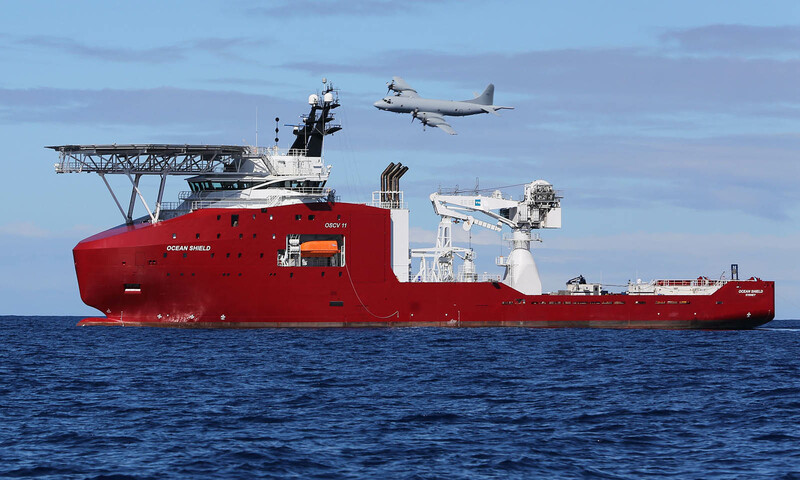 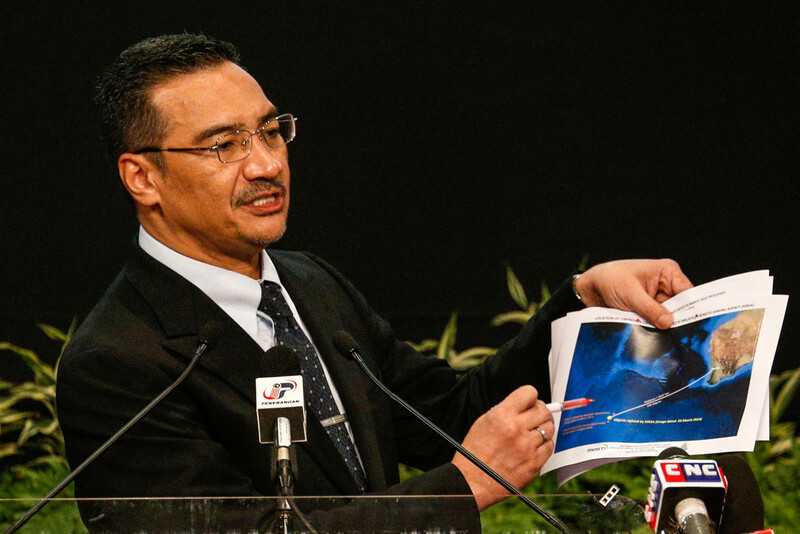 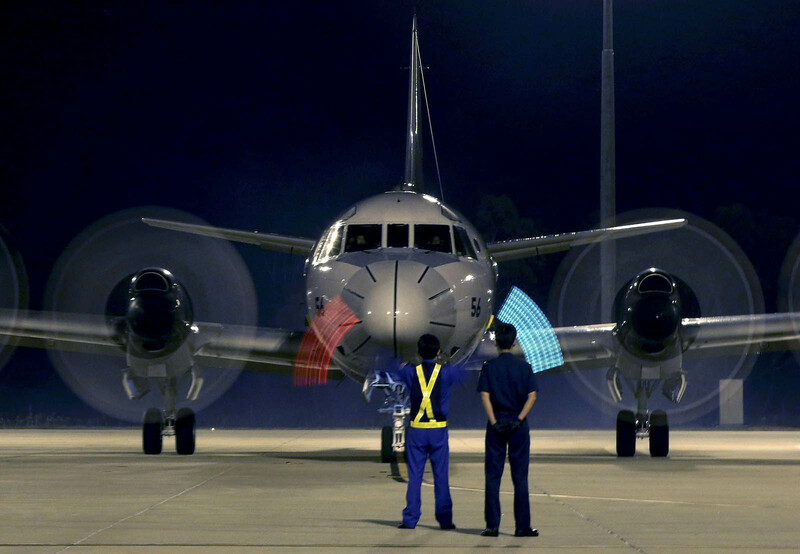 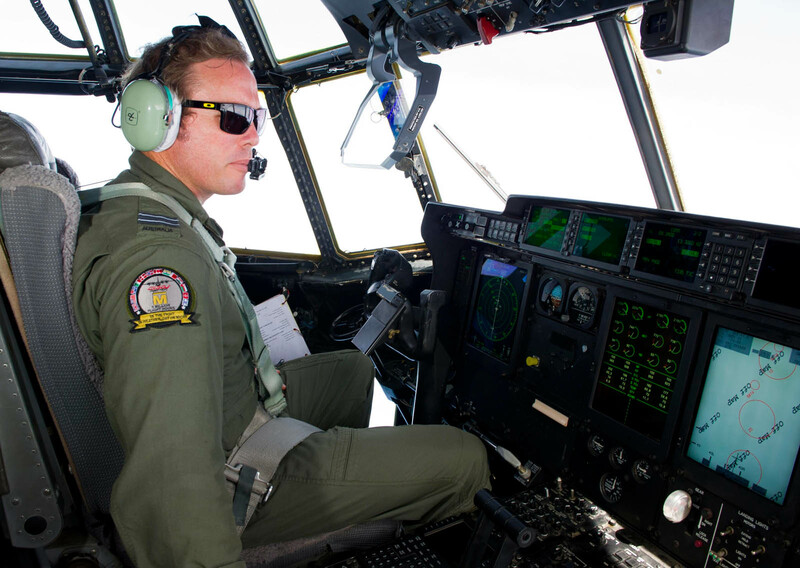 PETALING JAYA: The search for the missing Malaysia Airlines Flight MH370 will continue despite passing the "crucial" 48-hour period announced over the weekend. 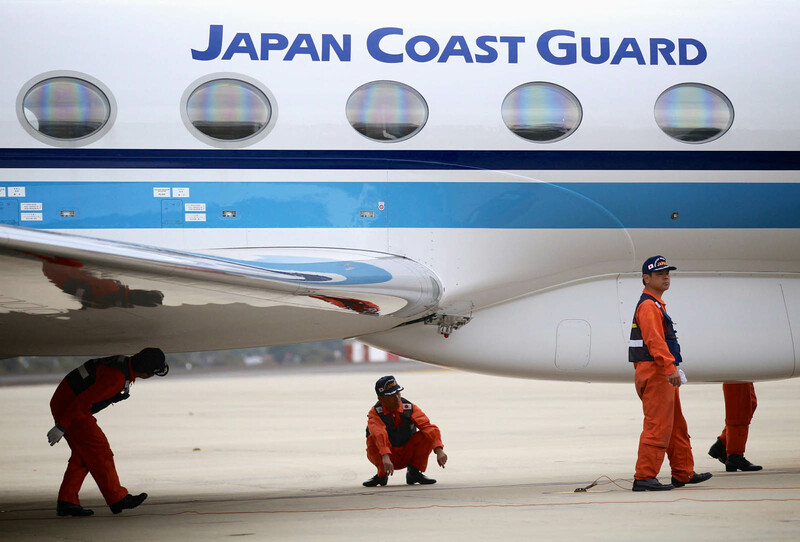 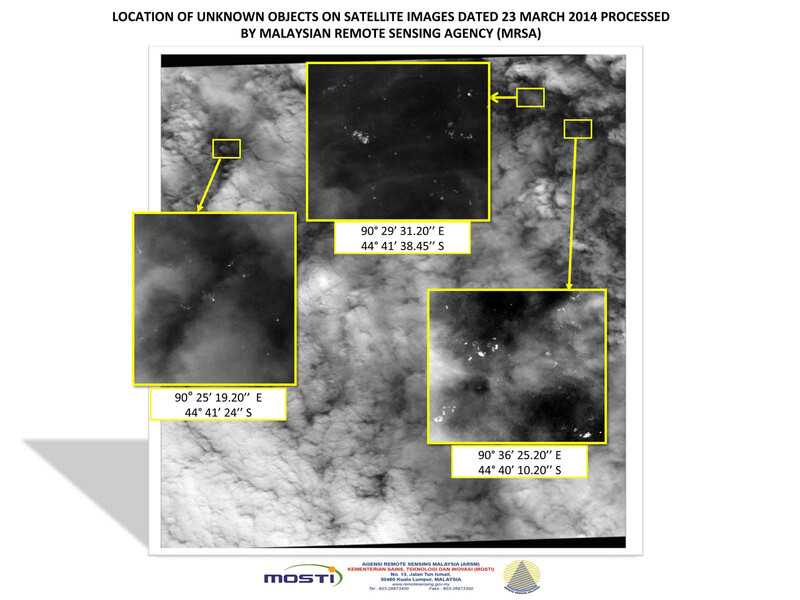 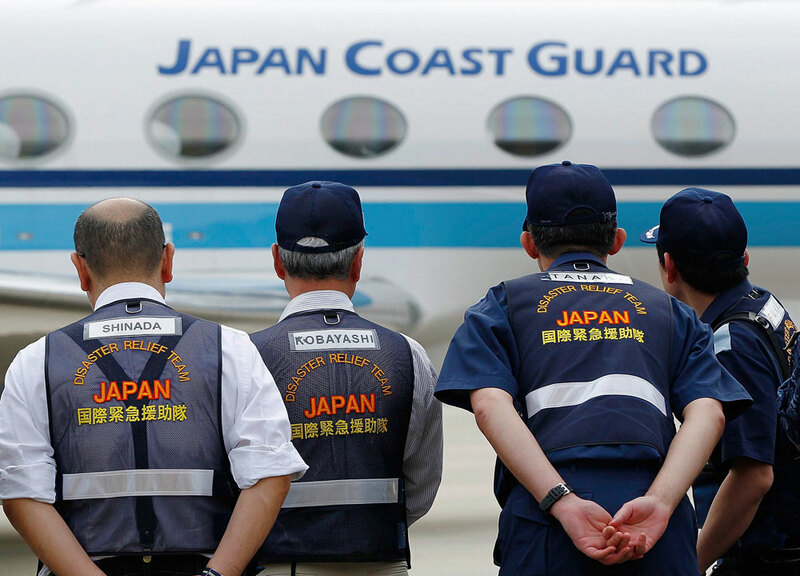 Department of Civil Aviation director-general Datuk Azharuddin Abdul Rahman said the search had been continuous without any plans to halt operations. 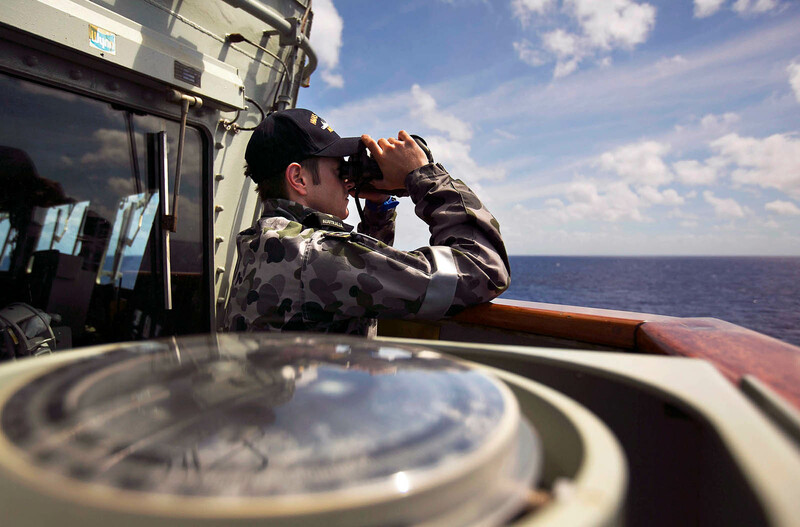 "The status quo remains as the search team is fully operational. 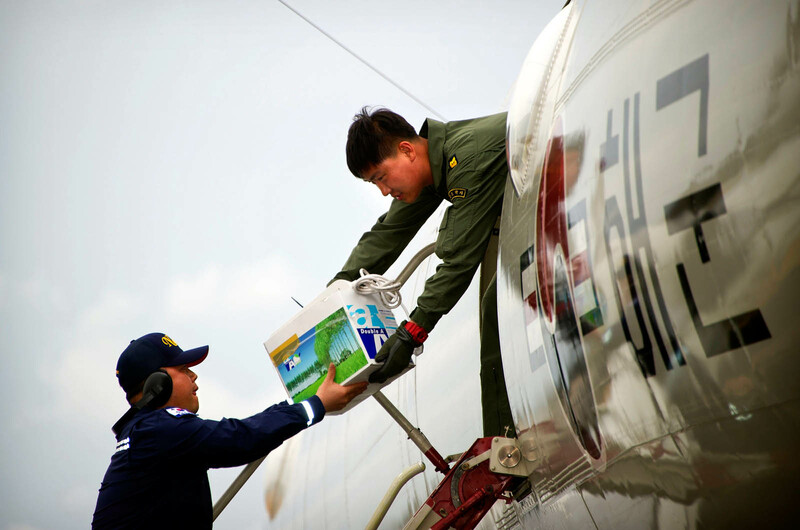 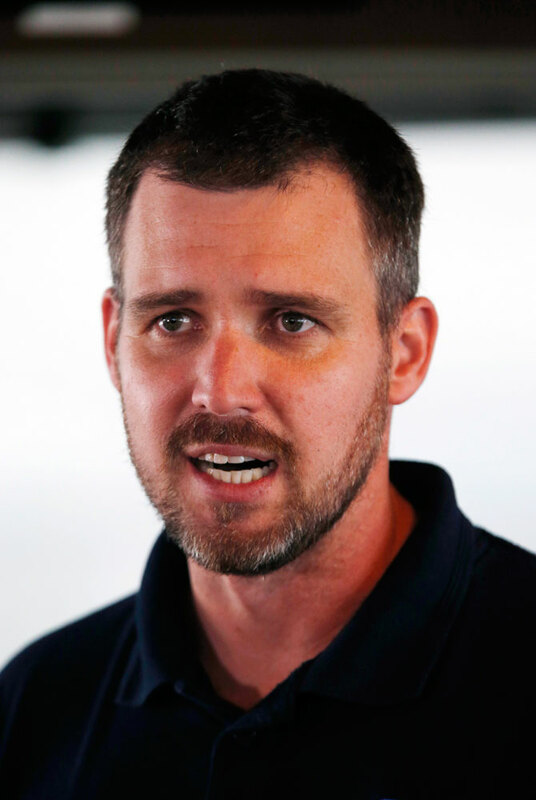 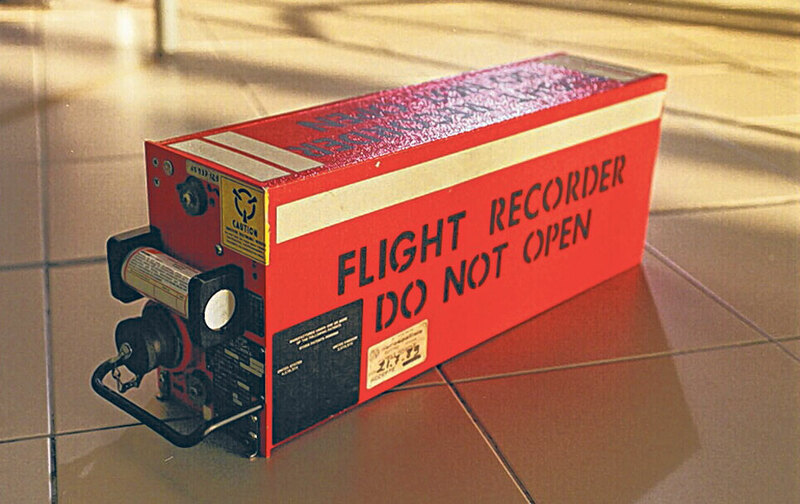 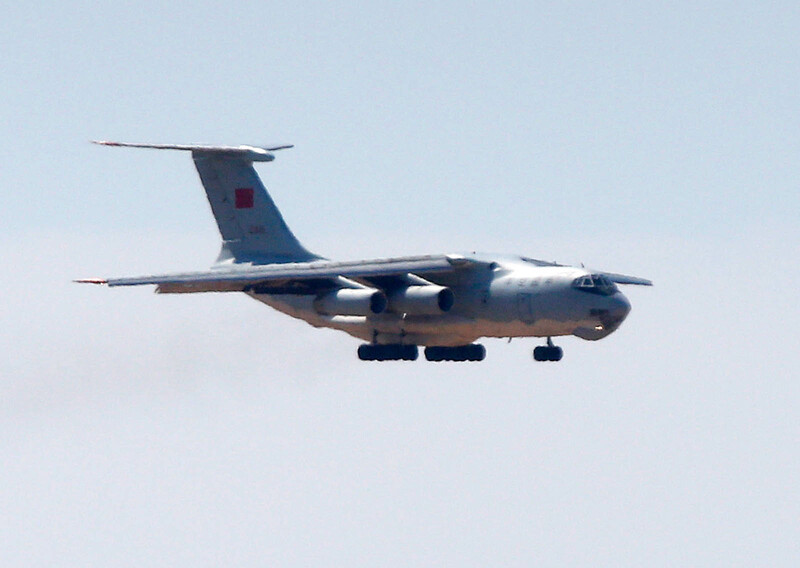 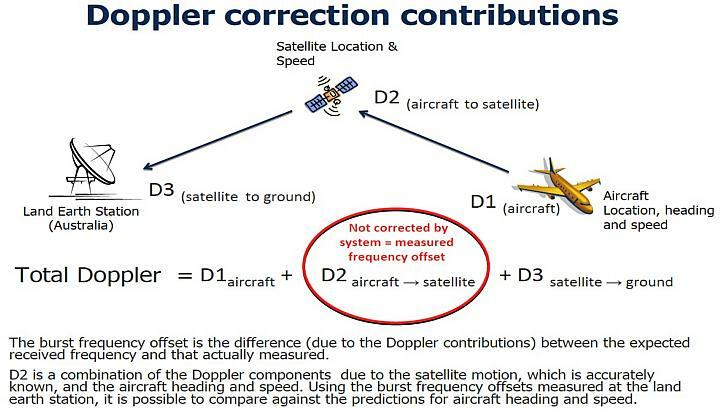 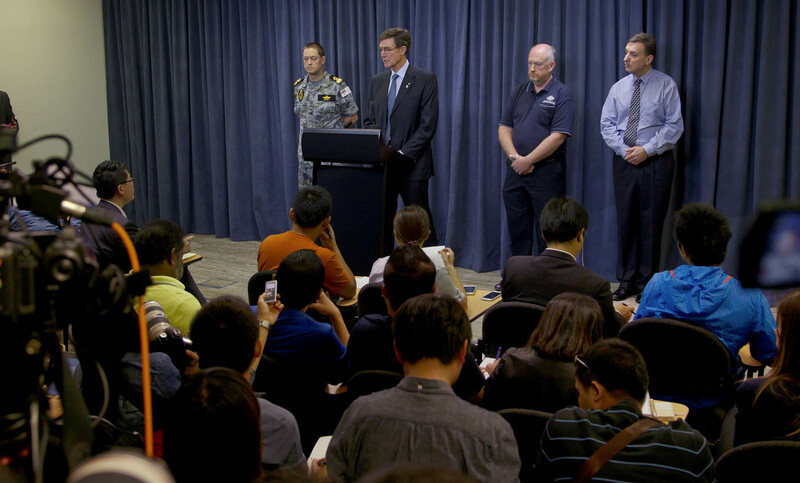 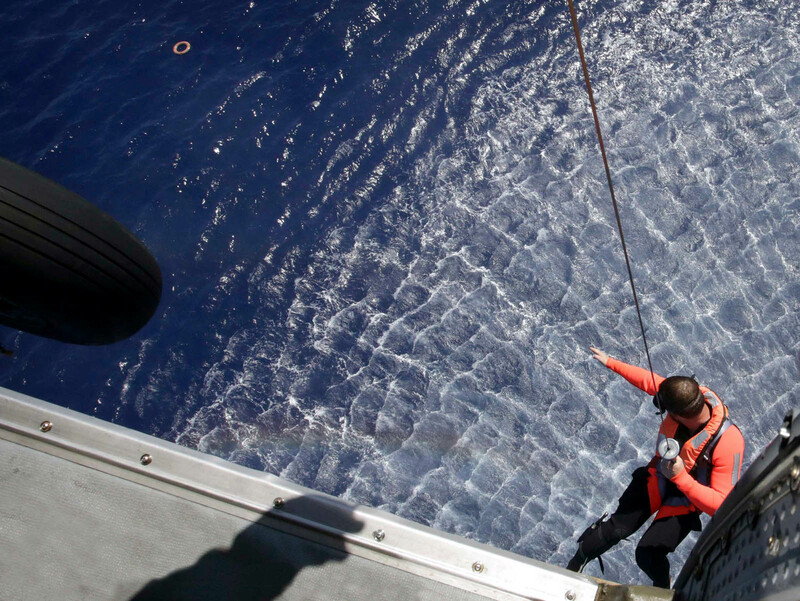 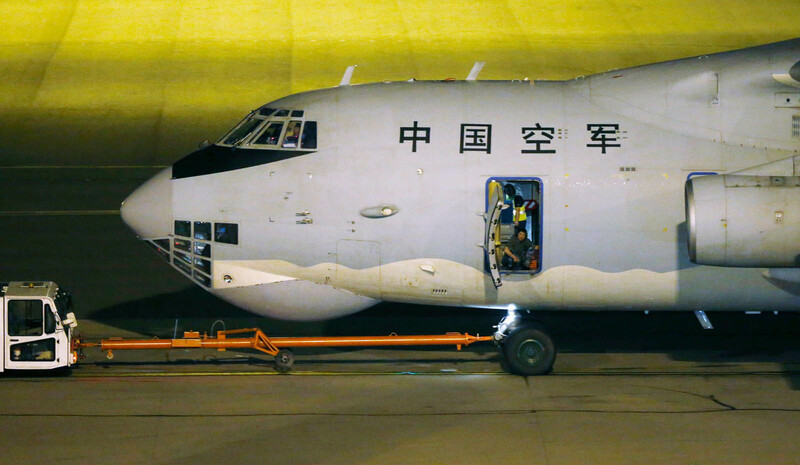 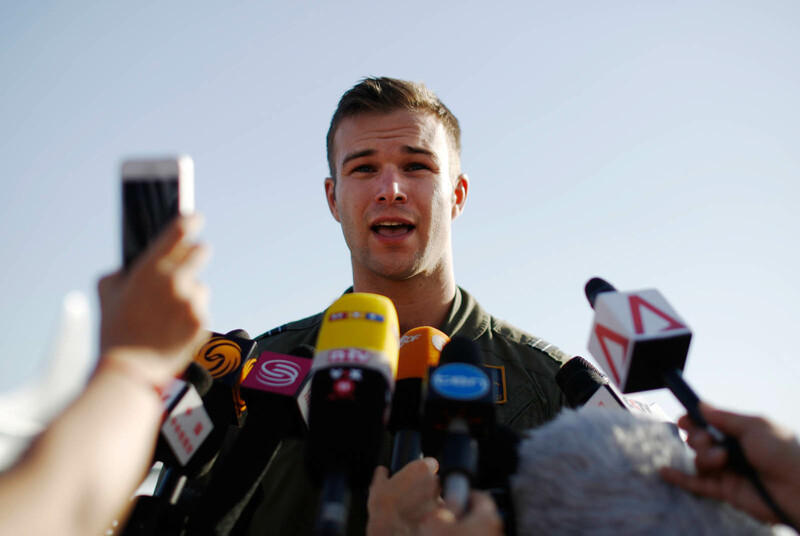 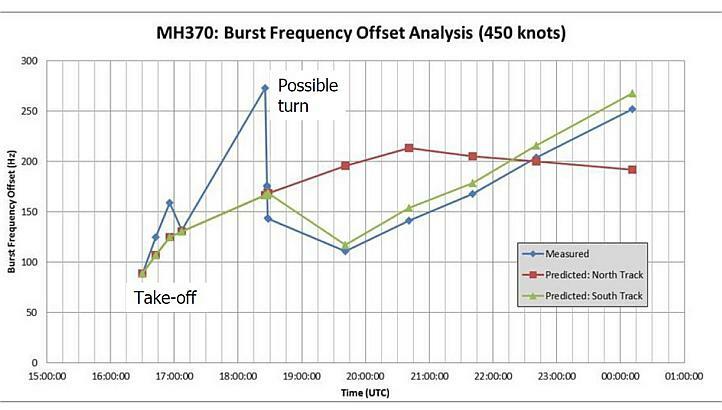 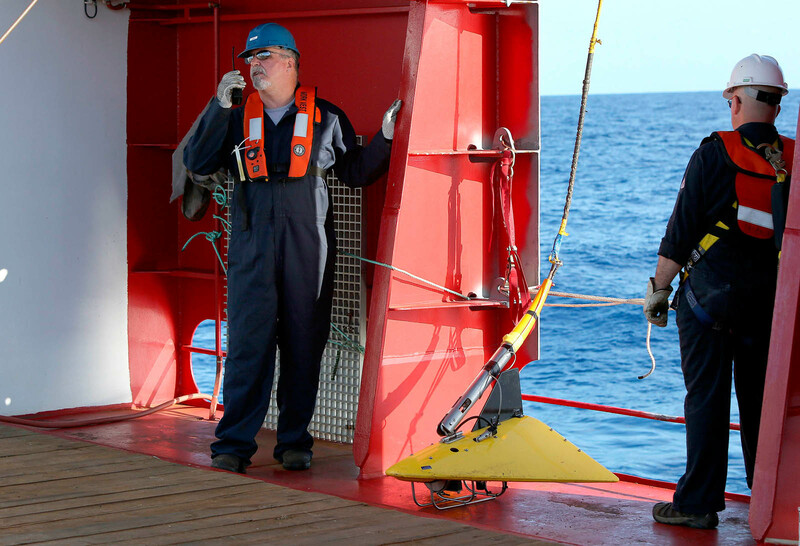 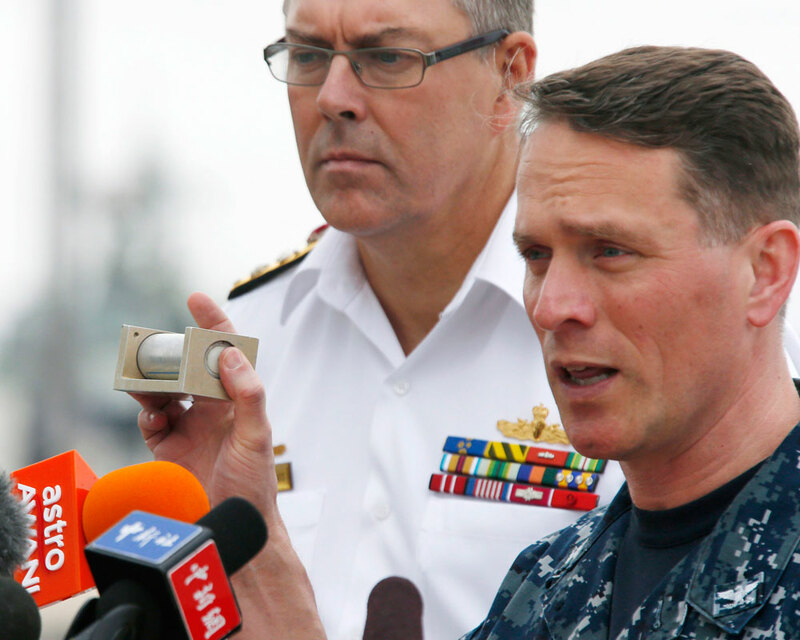 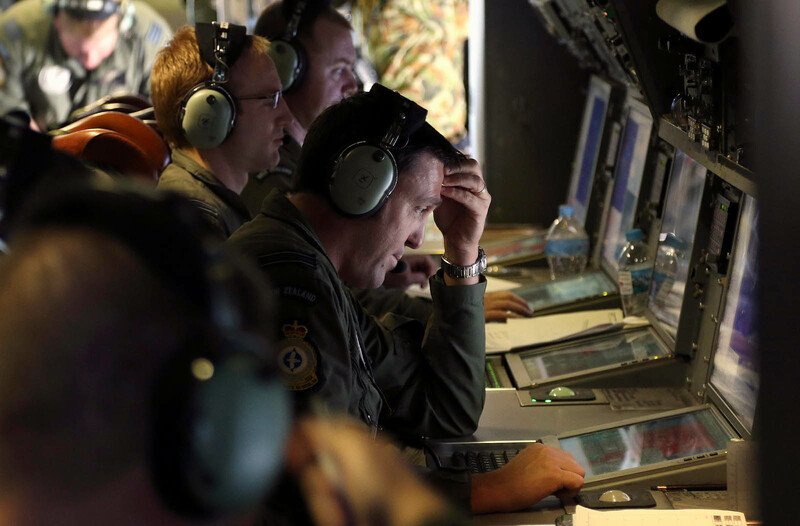 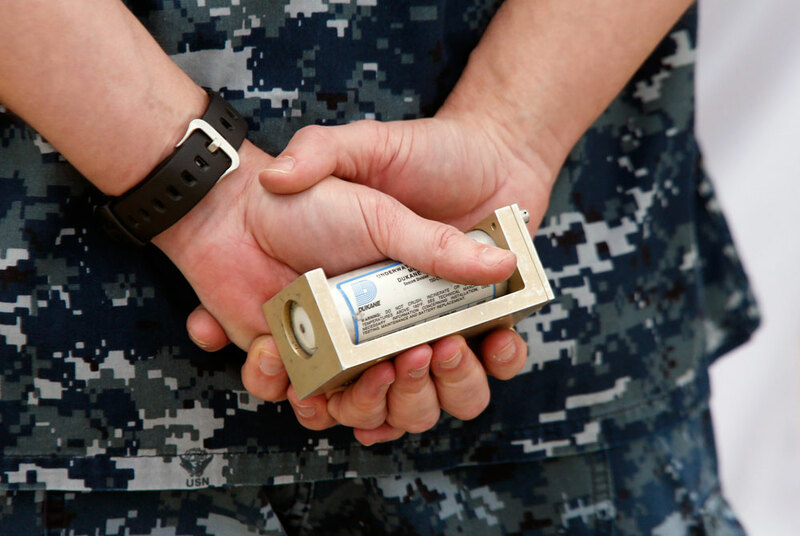 "We will not give up the search to find the plane or the black box," he said when contacted yesterday. 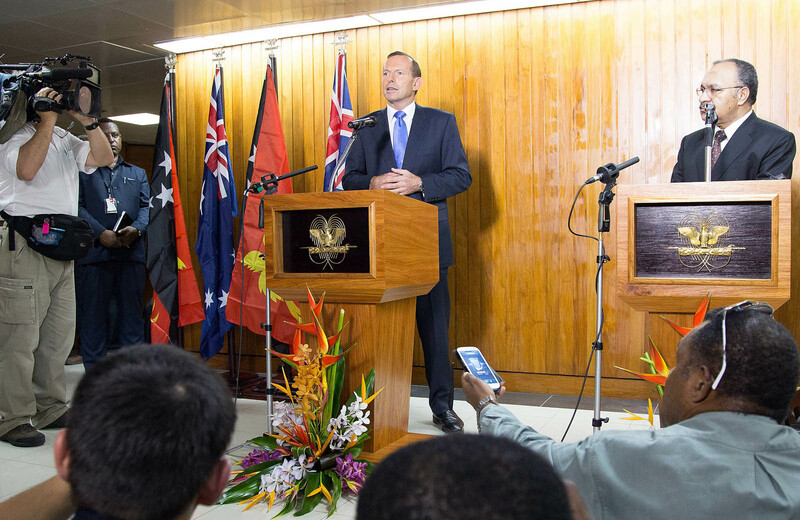 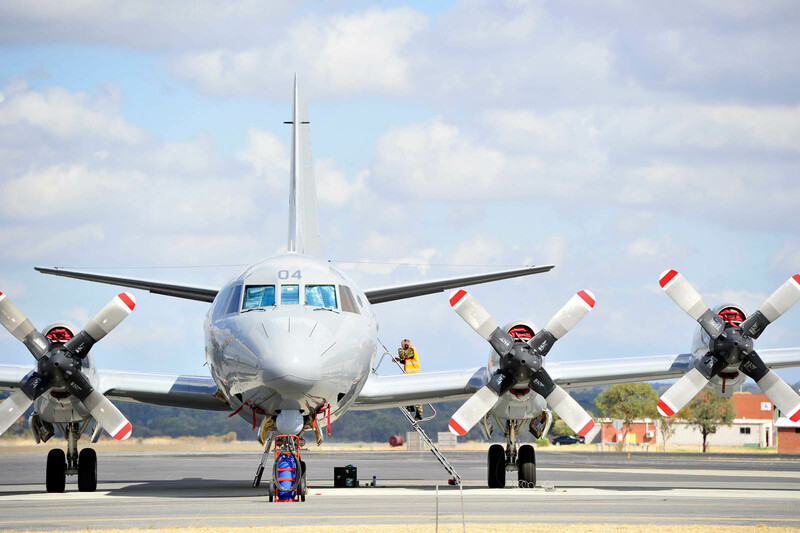 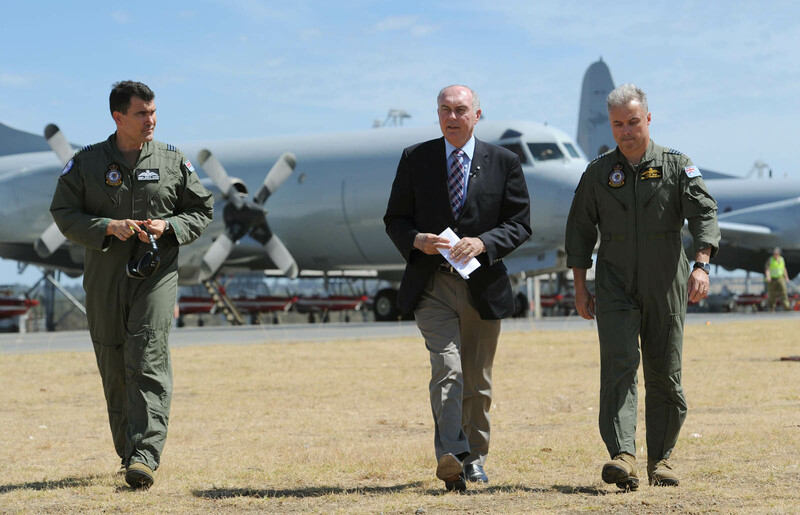 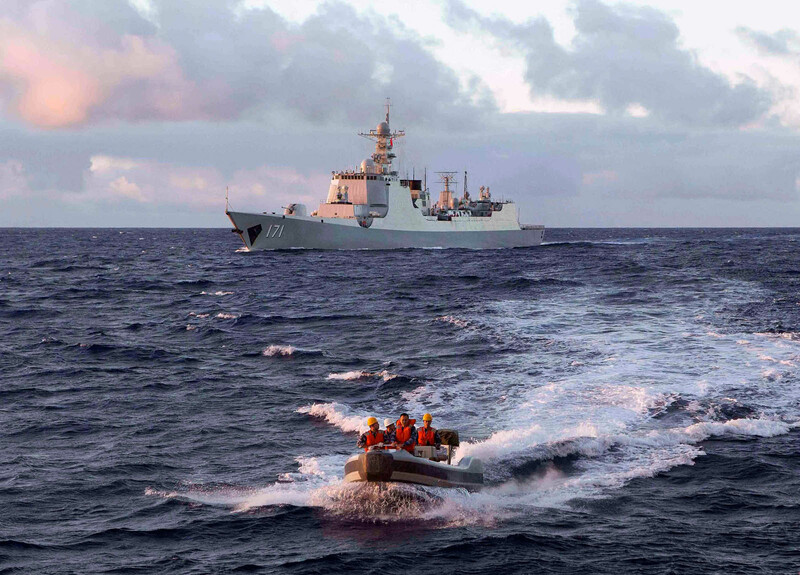 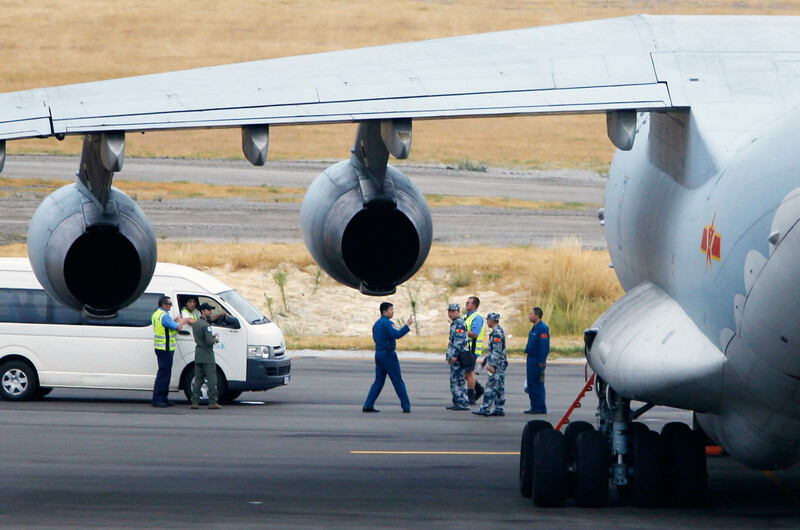 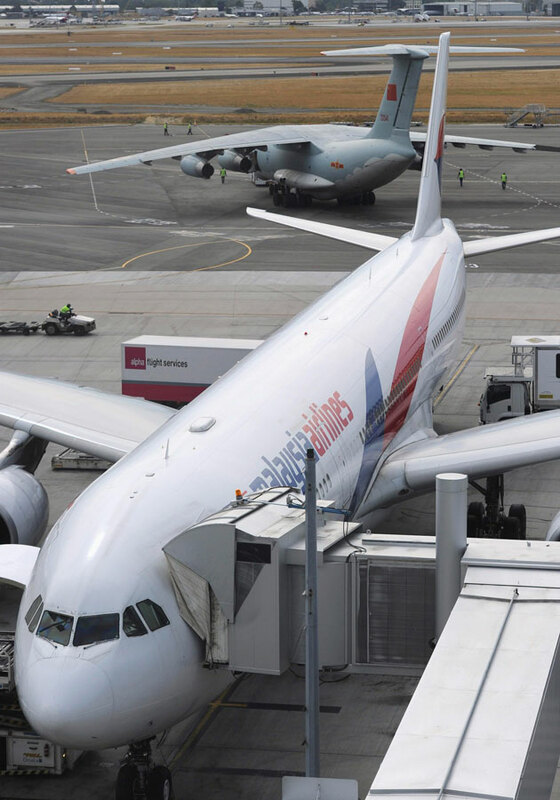 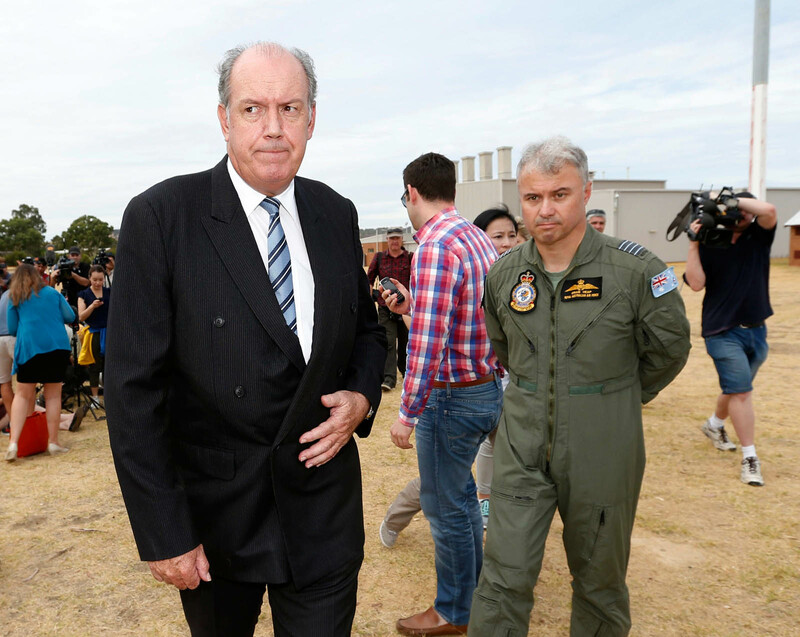 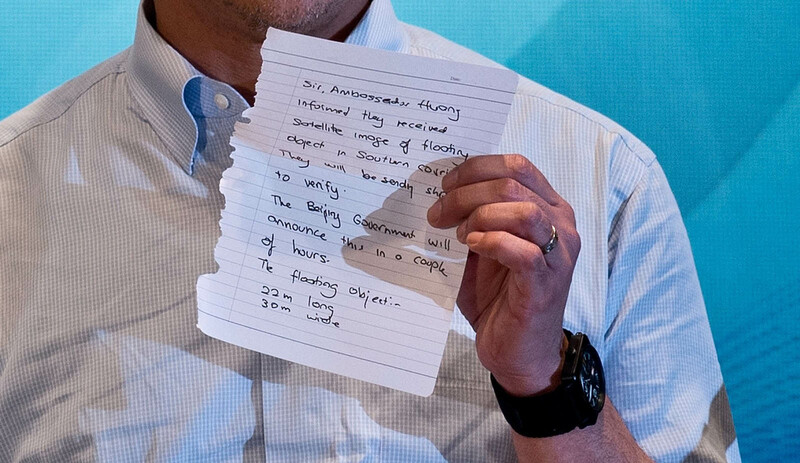 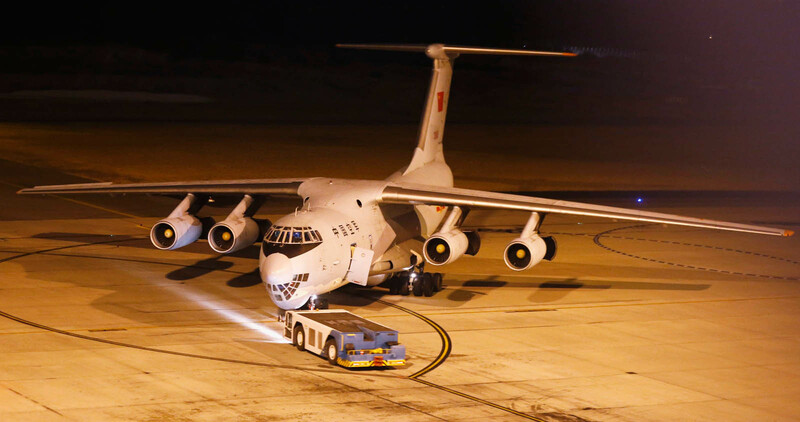 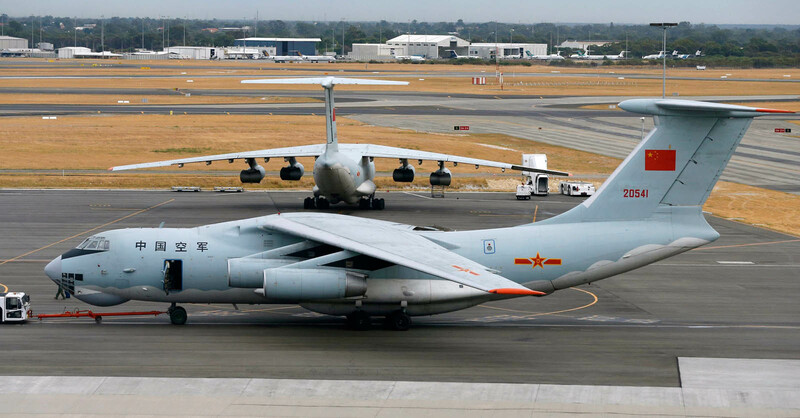 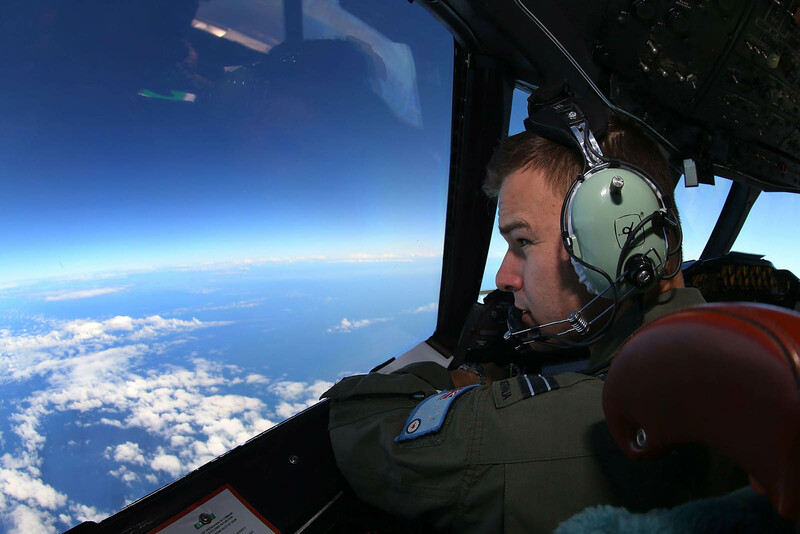 He also quashed talk that the authorities had decided to regroup and relook their approach as there were no signs of the aircraft in the southern Indian Ocean. 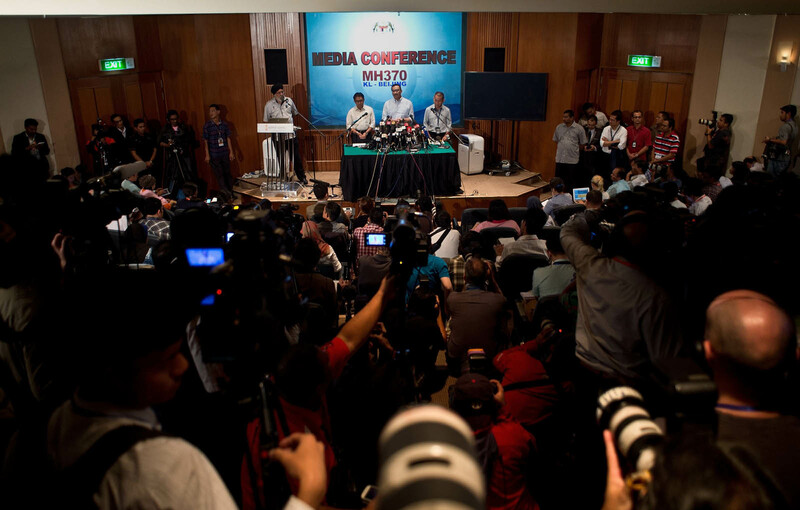 "Our approach and strategy have not changed. 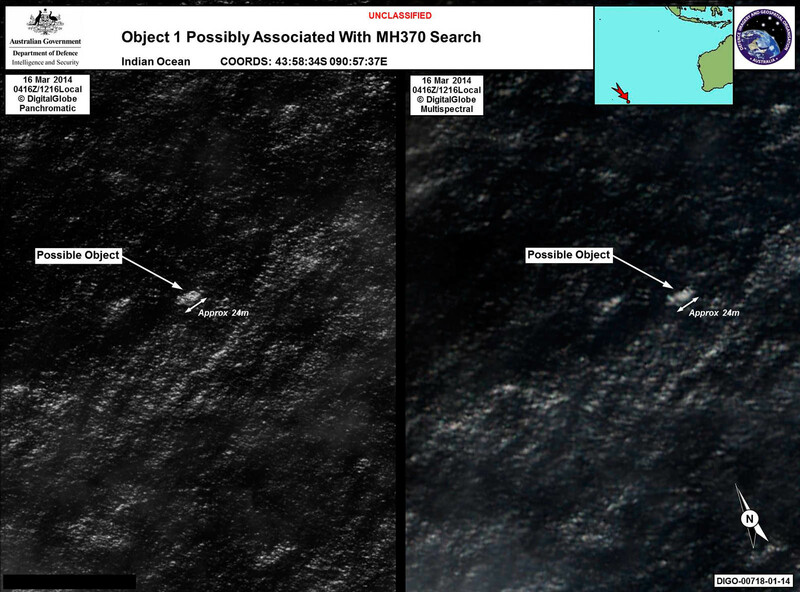 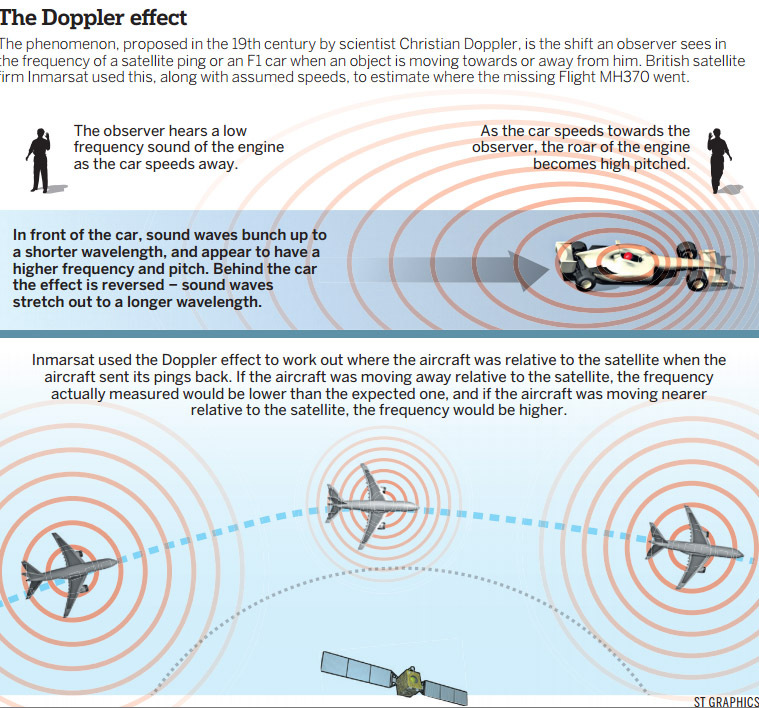 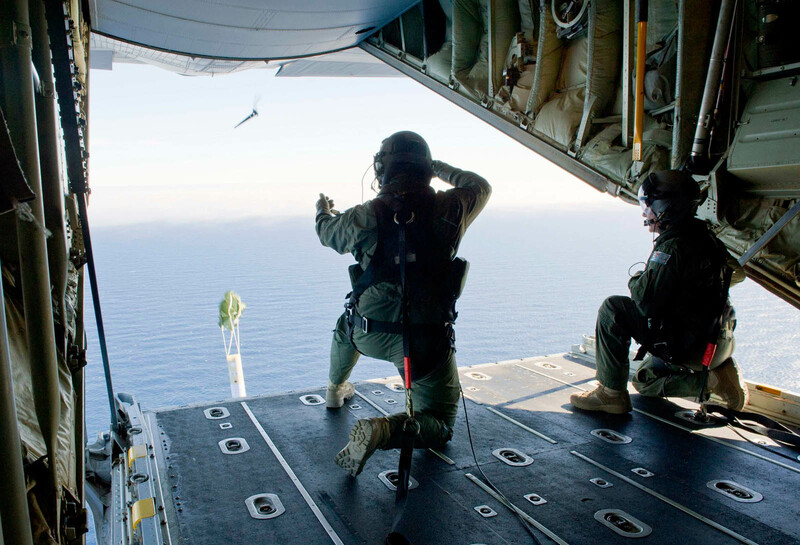 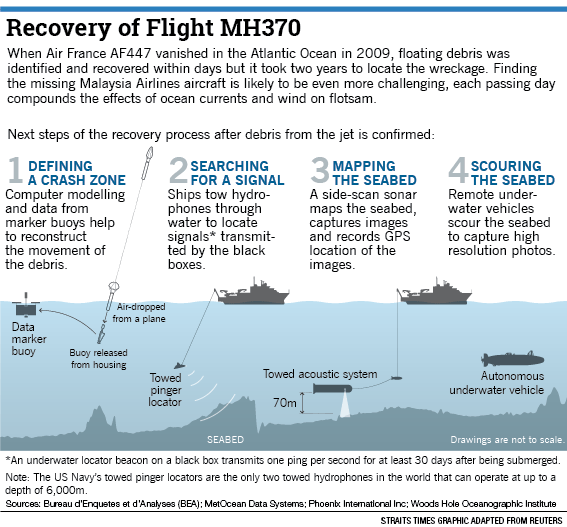 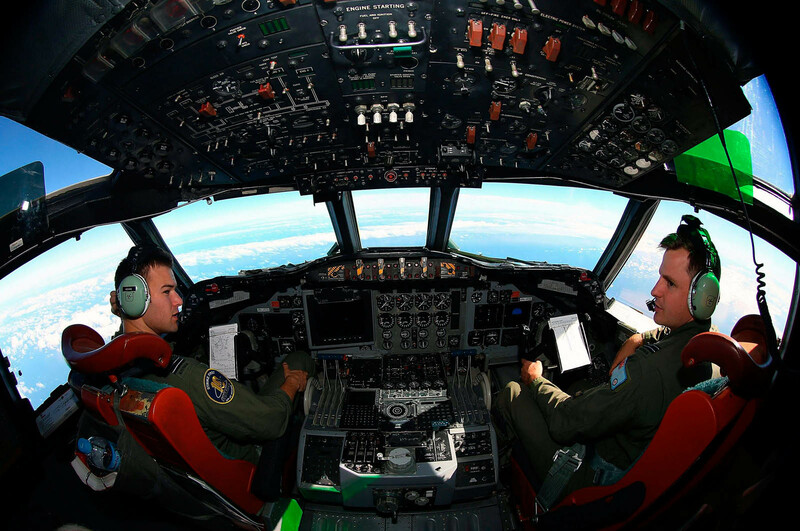 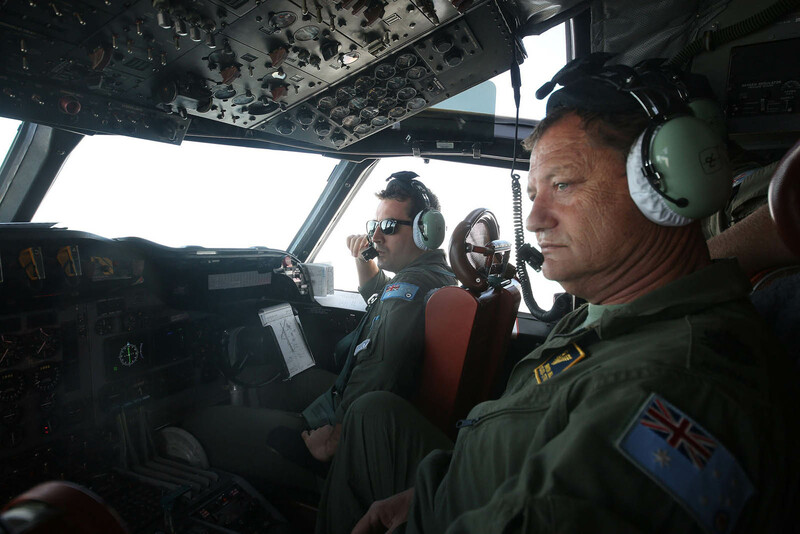 We are still out in full force searching for the plane," he said. 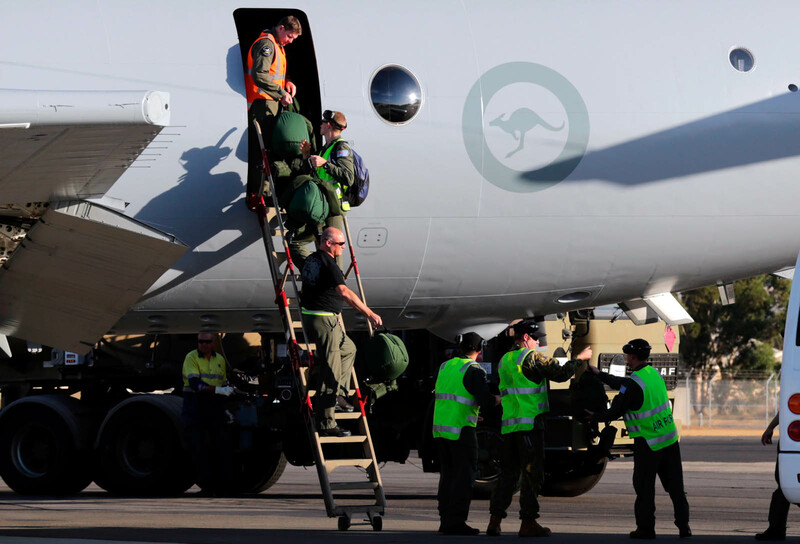 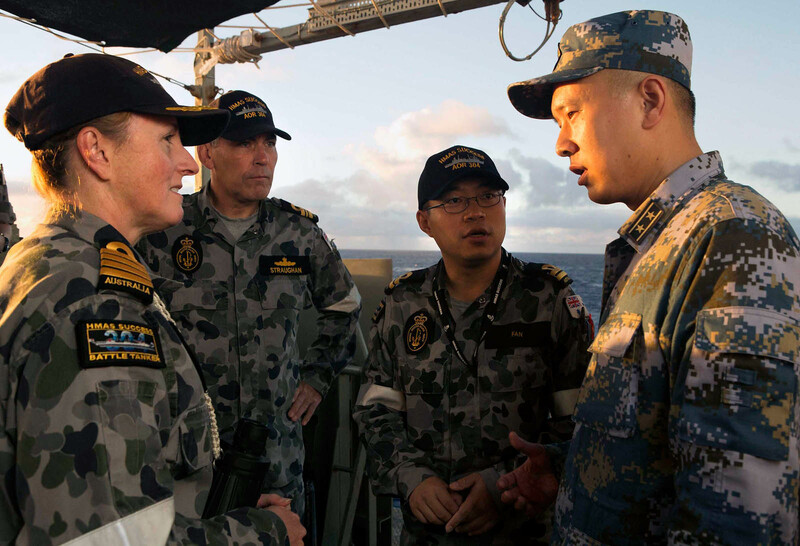 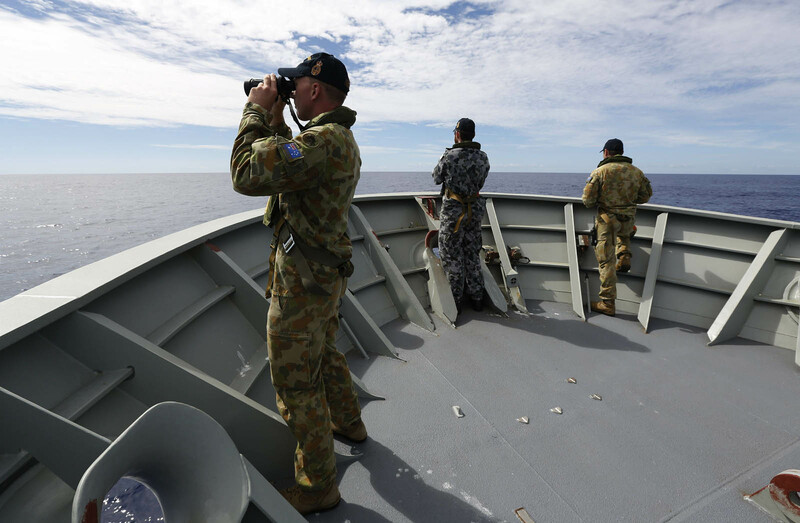 In Perth, the Joint Agency Coordination Centre said 10 military aircraft and 10 ships were assisting in the search operation yesterday. 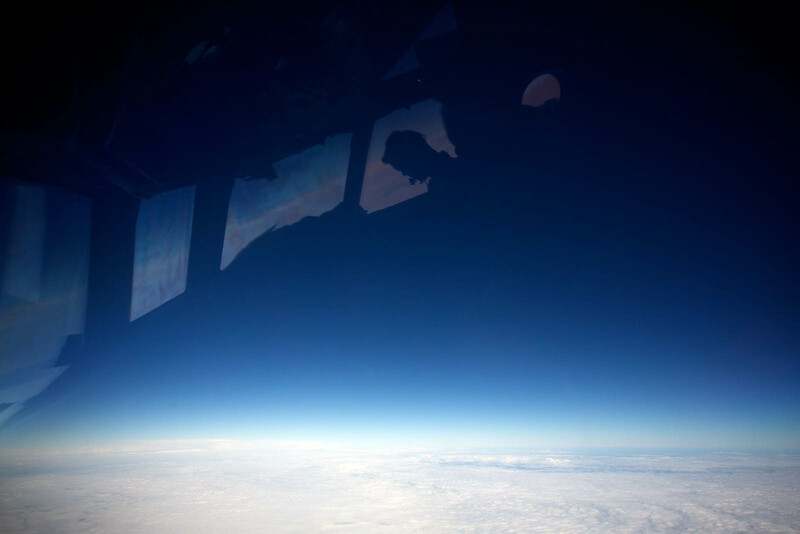 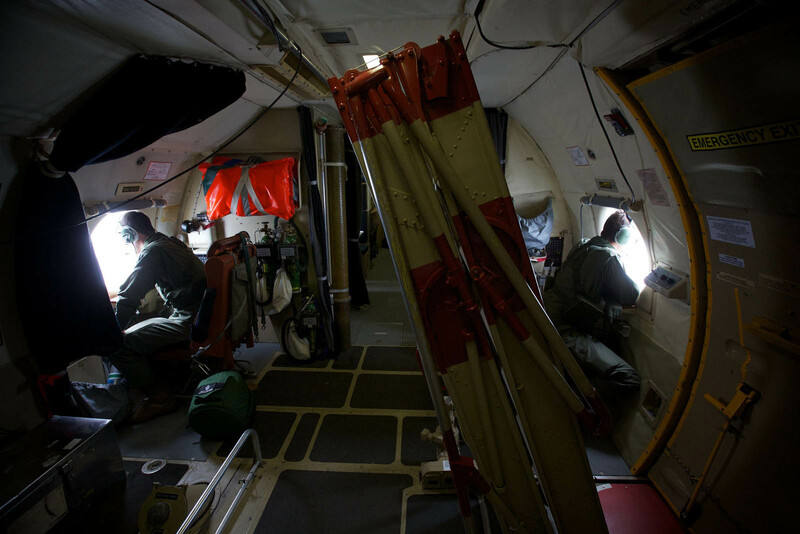 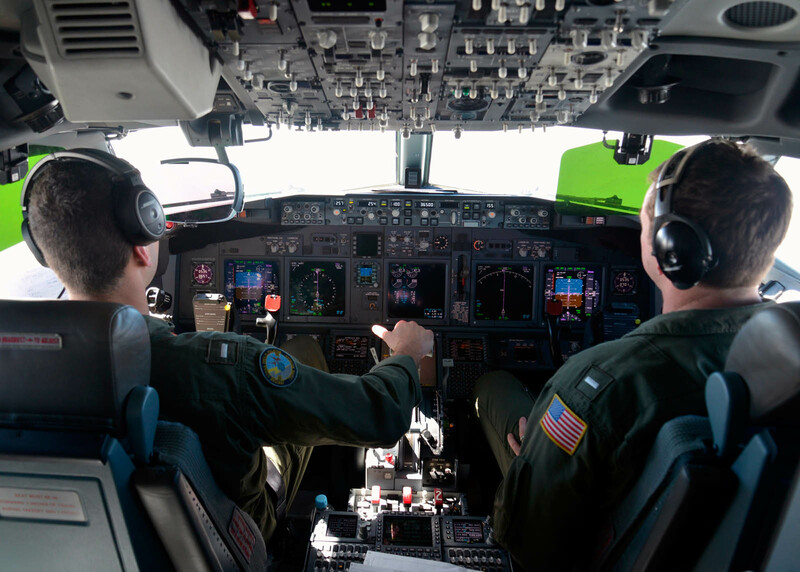 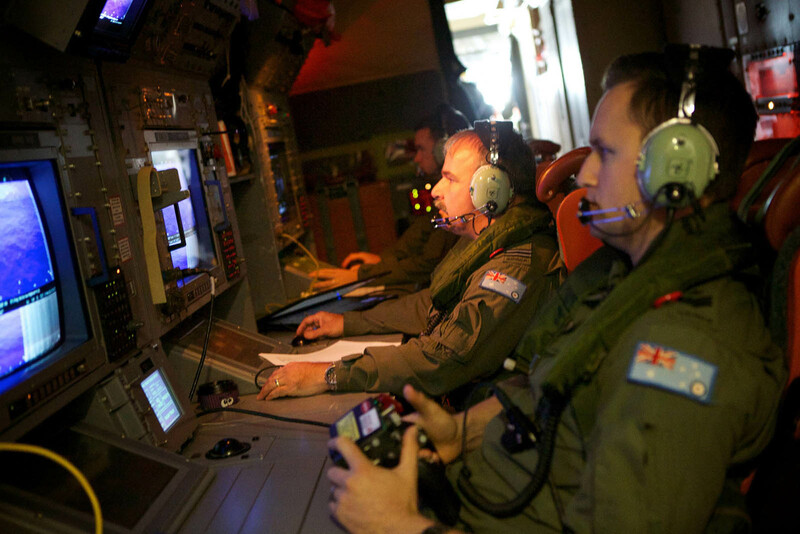 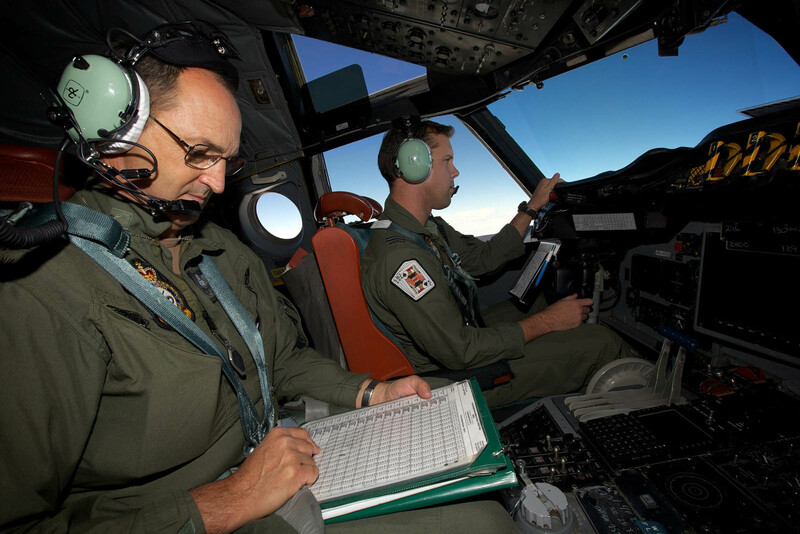 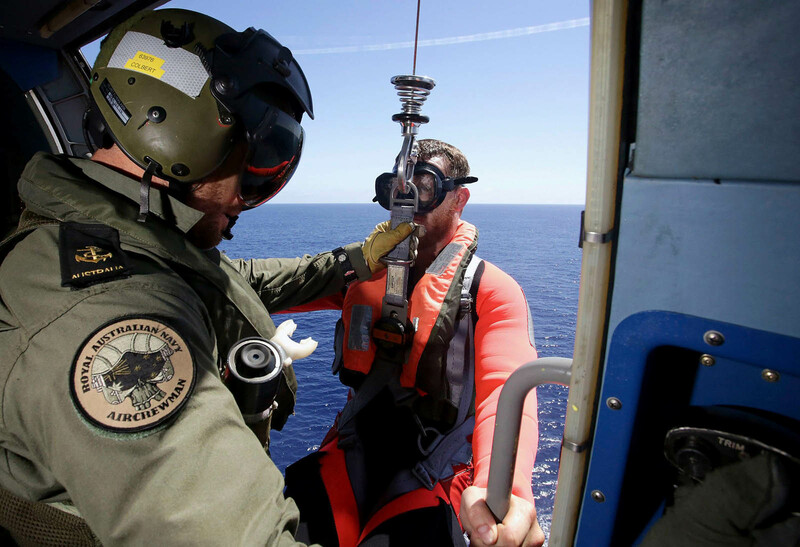 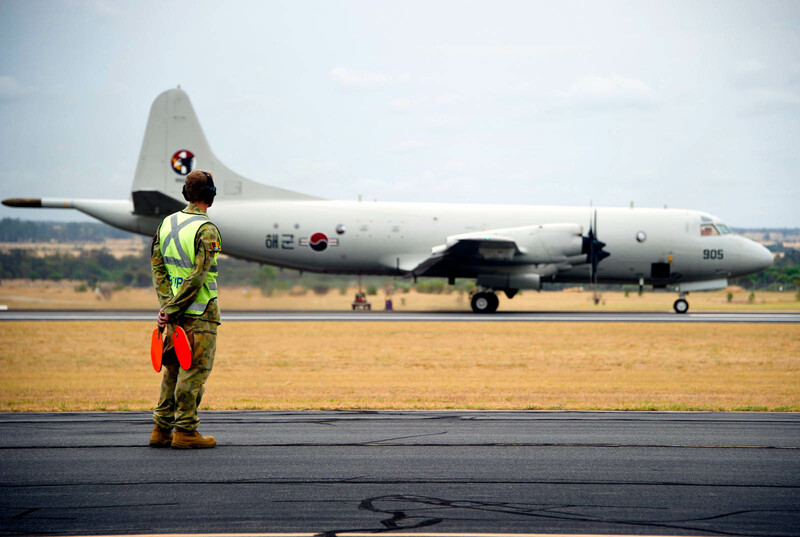 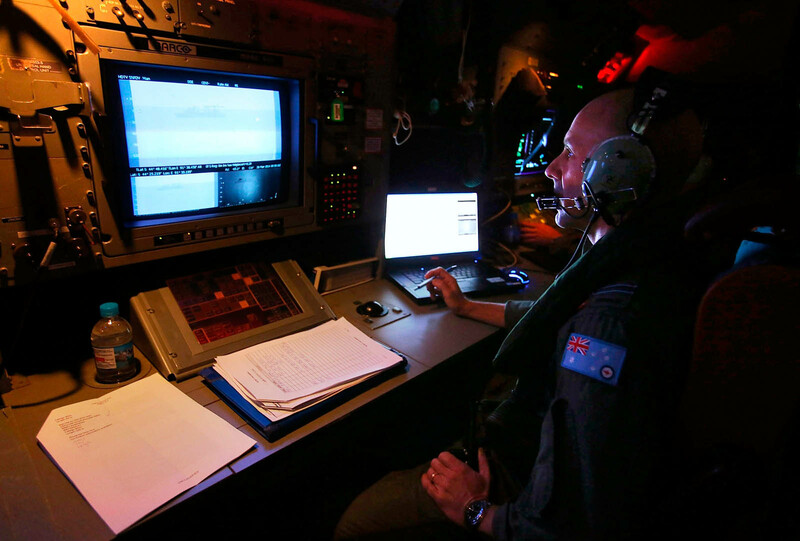 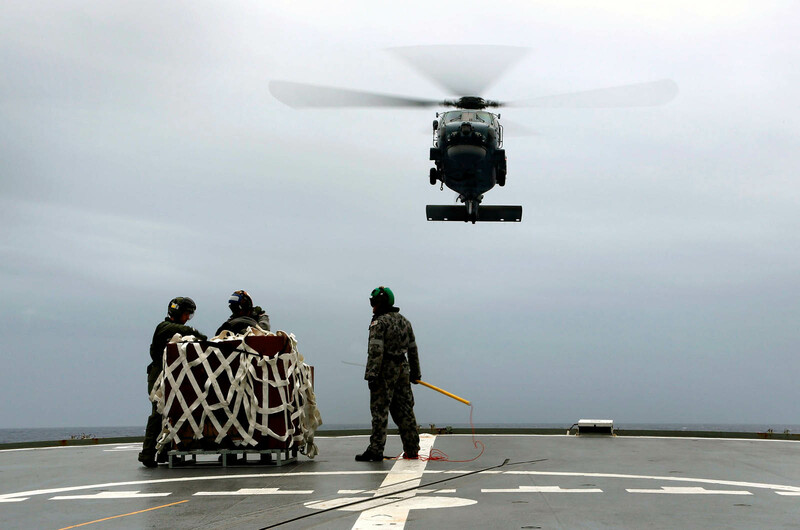 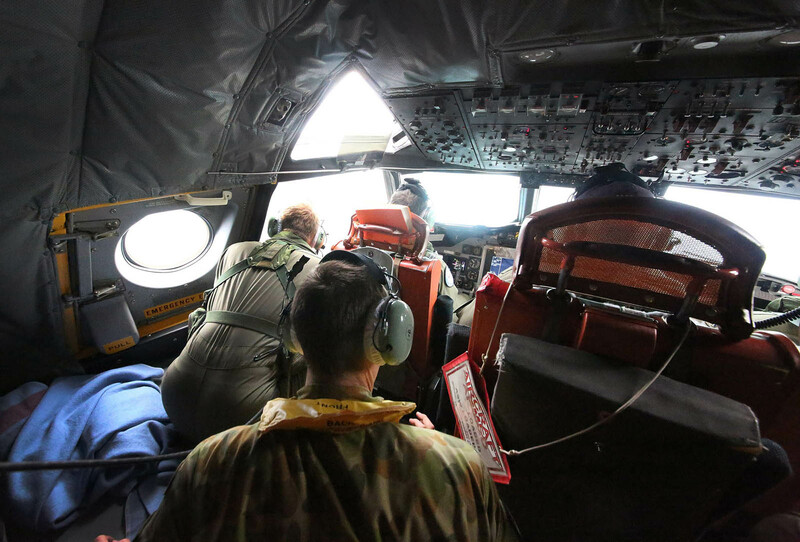 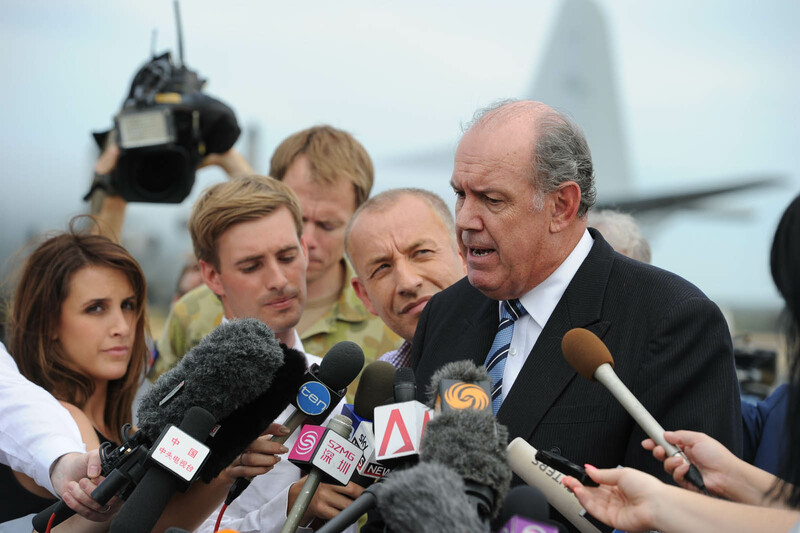 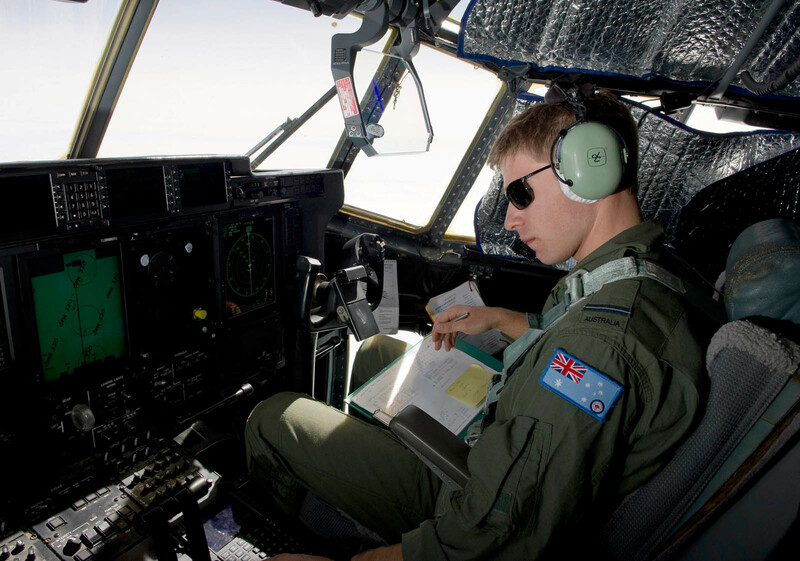 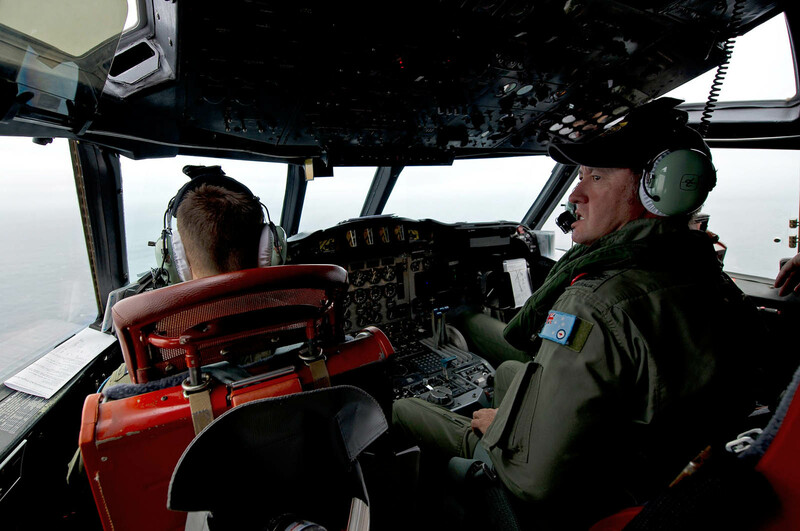 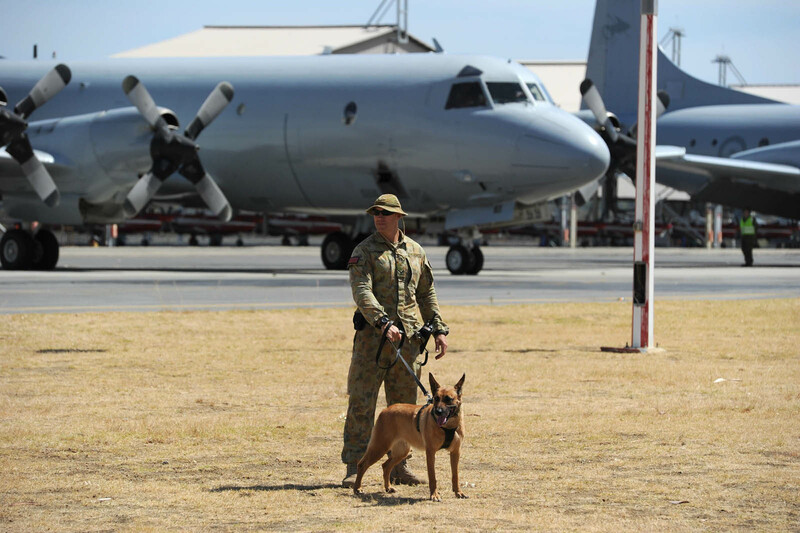 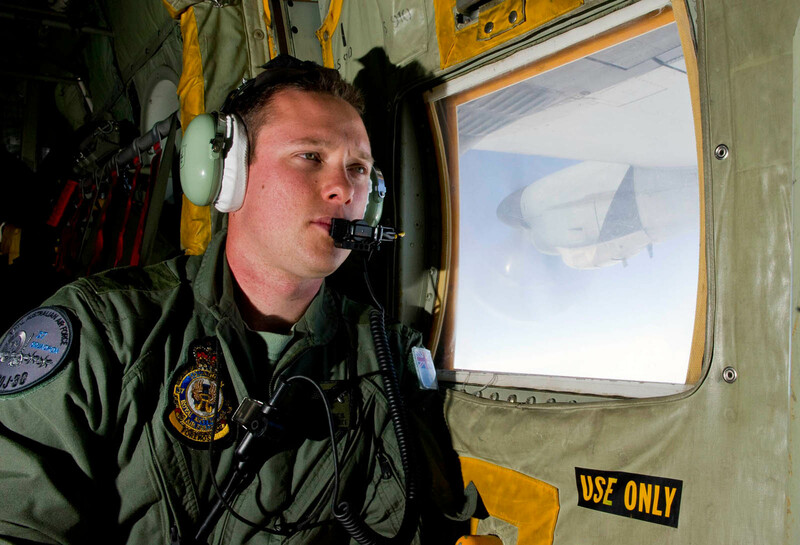 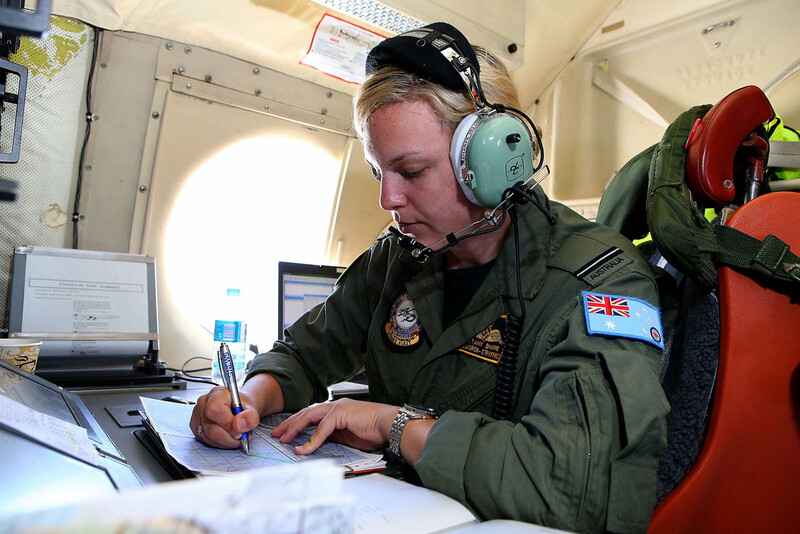 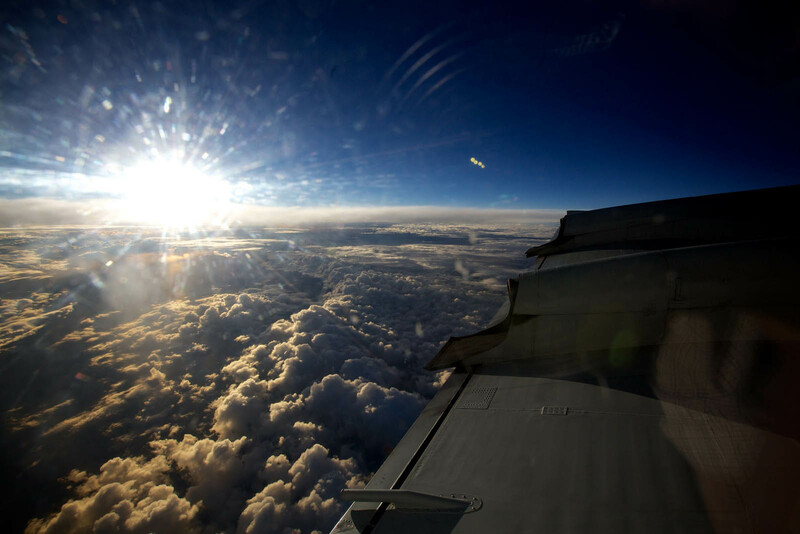 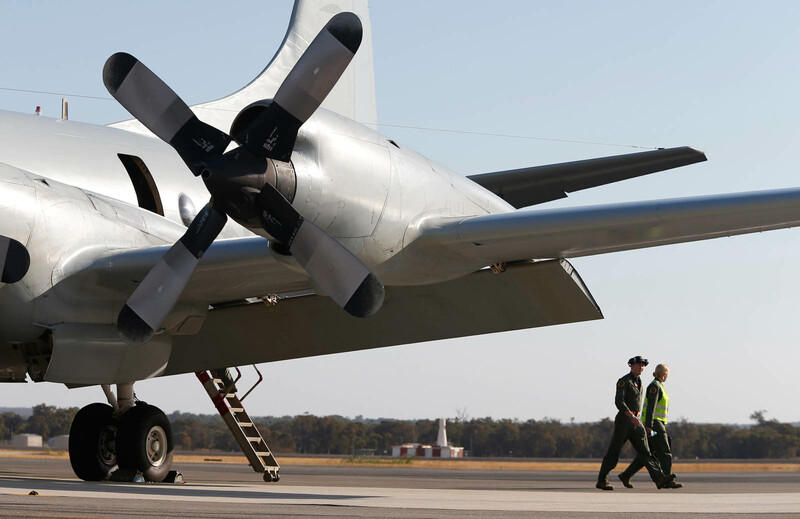 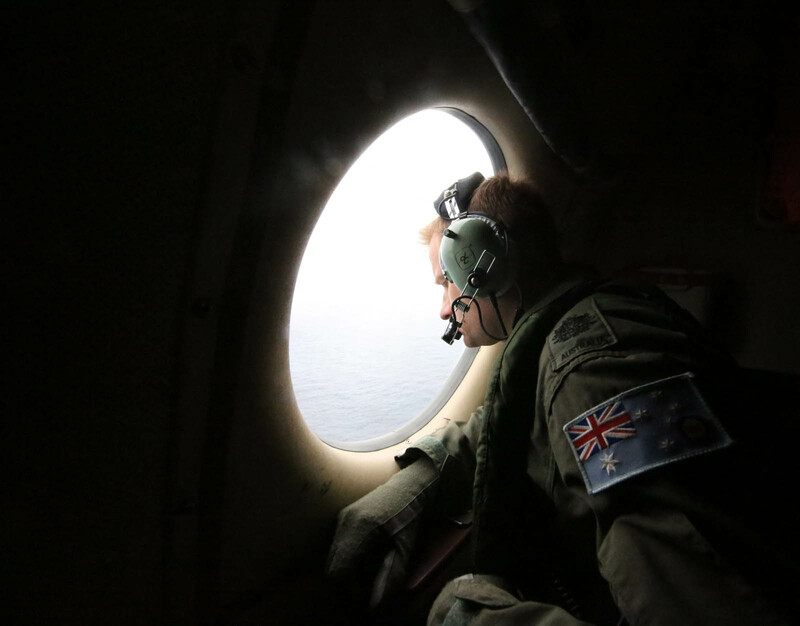 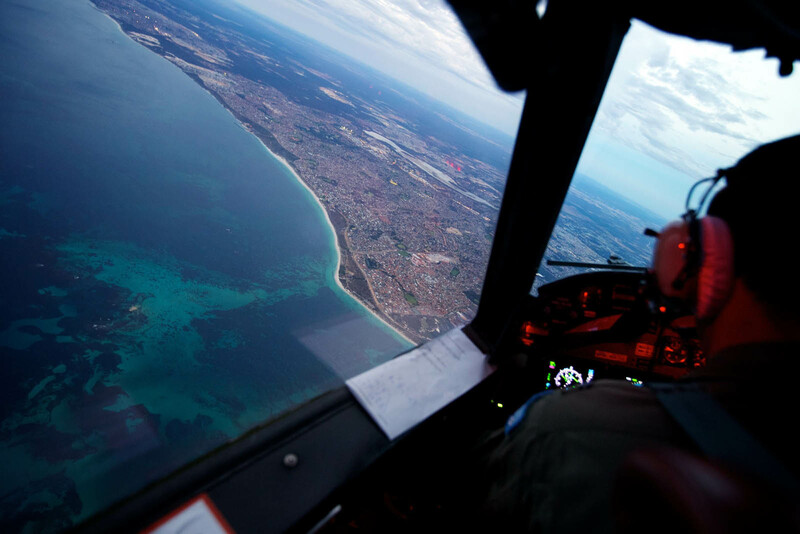 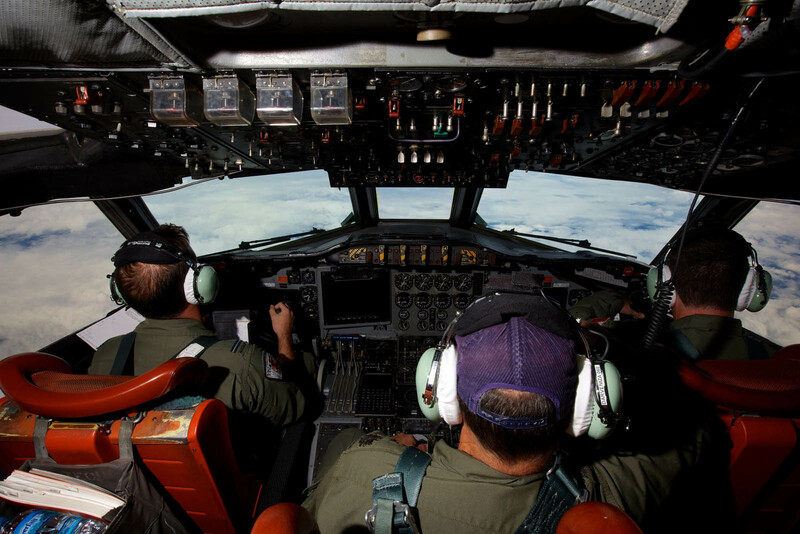 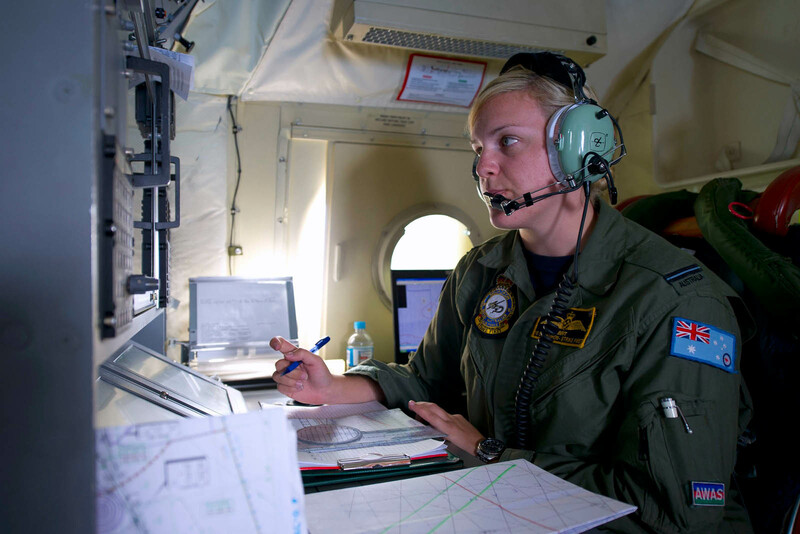 However, planned air search was suspended due to poor weather conditions in the area as a result of Tropical Cyclone Jack. 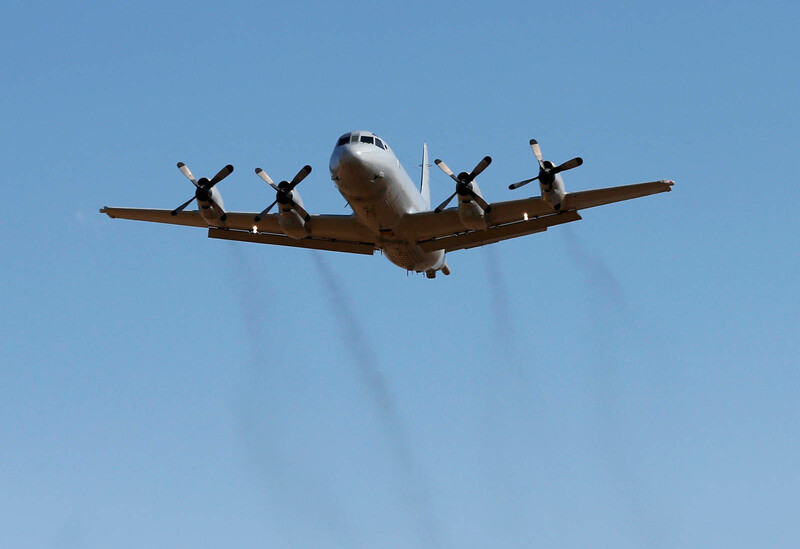 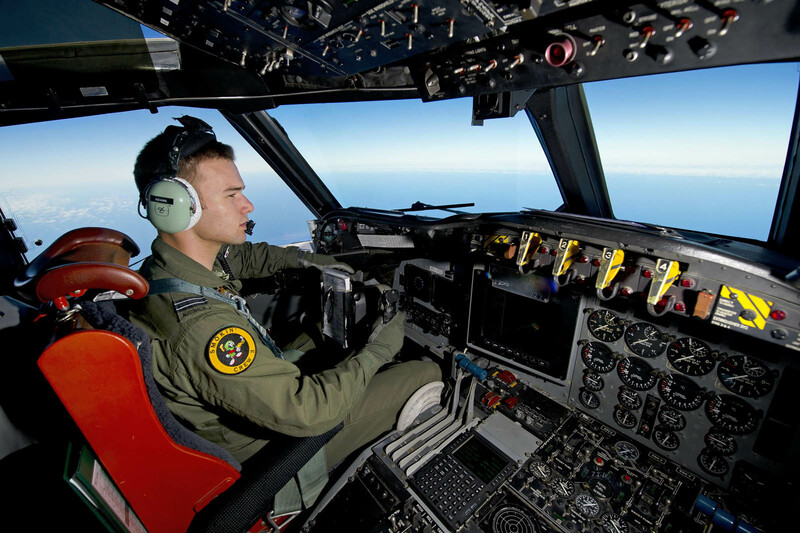 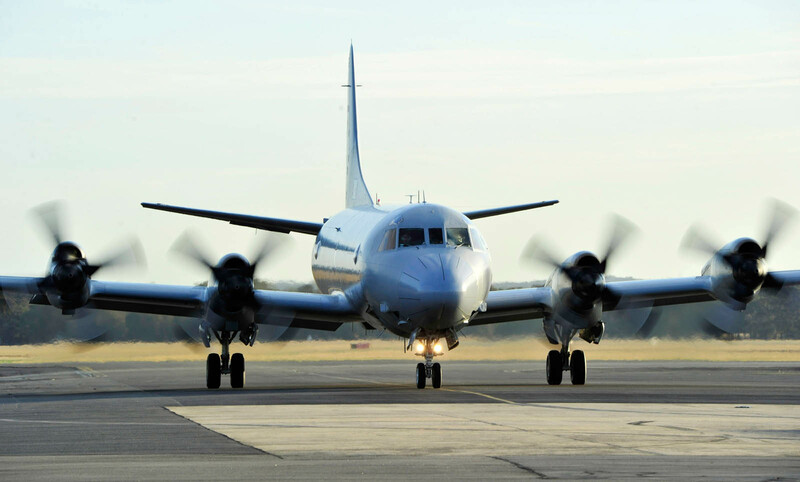 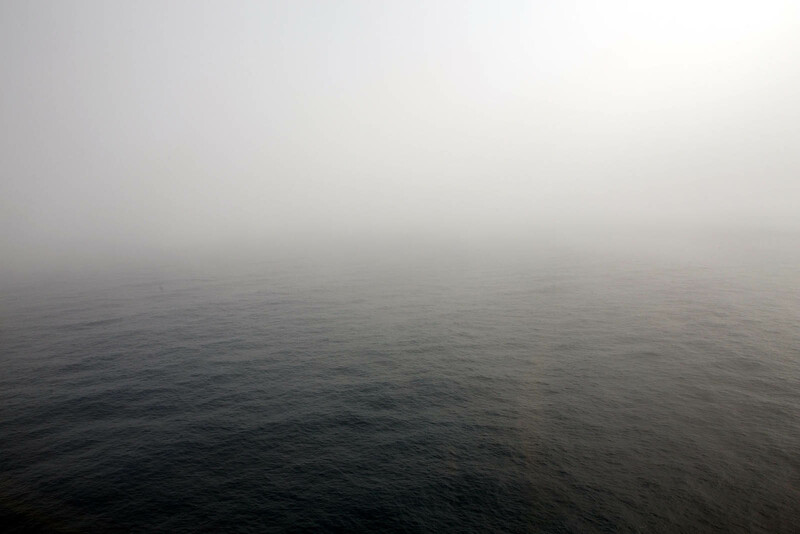 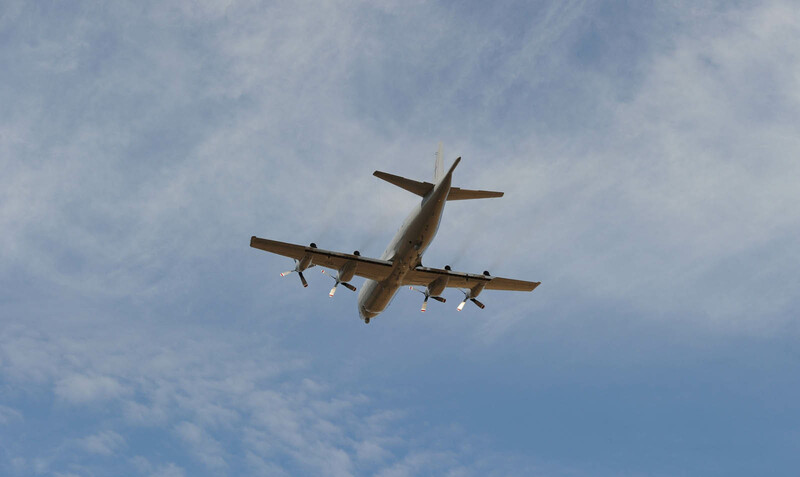 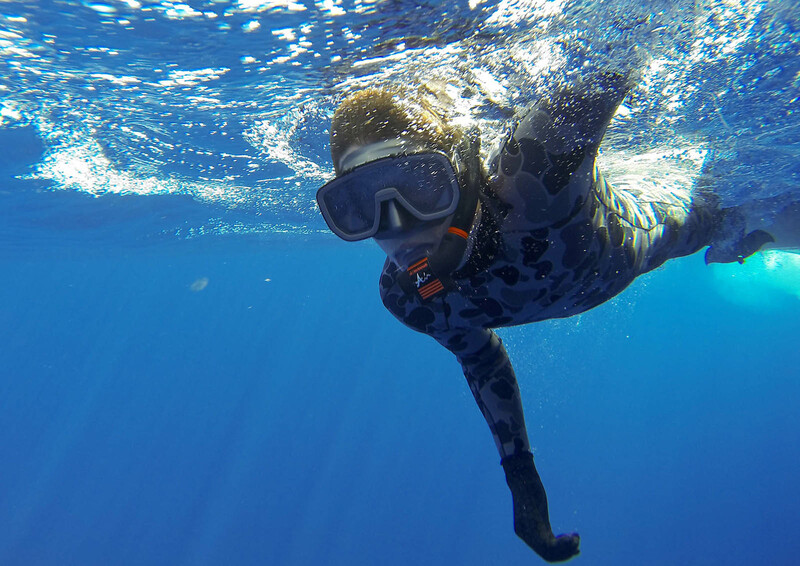 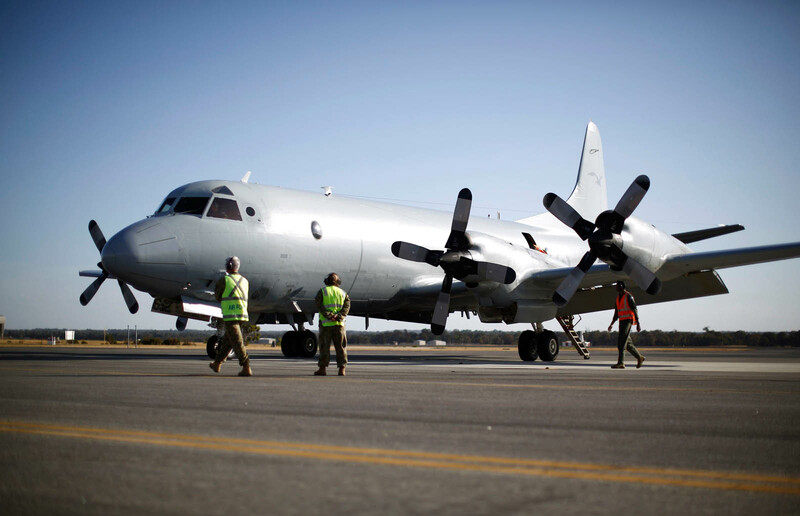 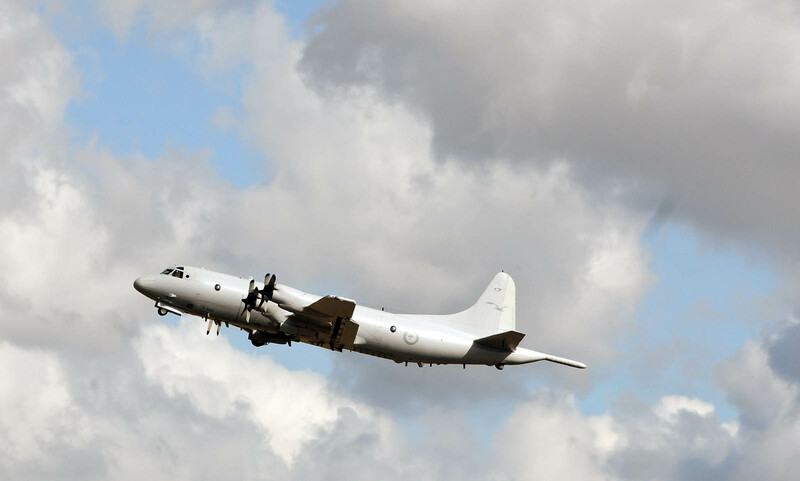 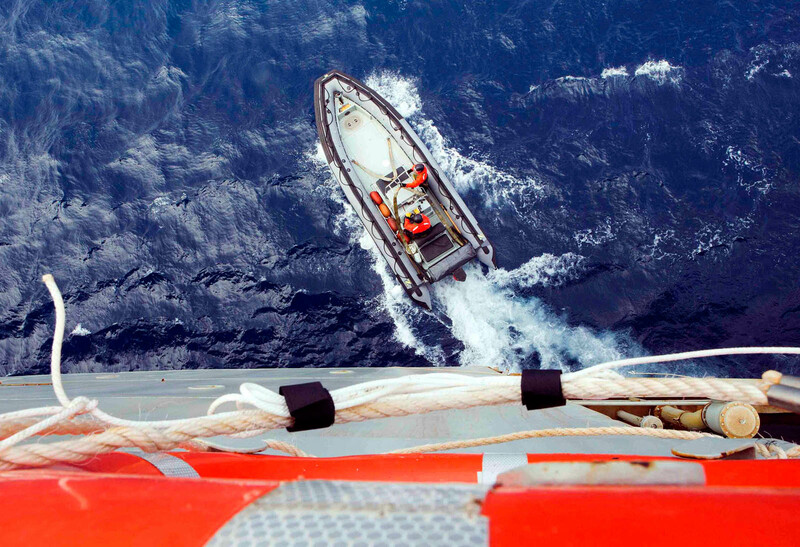 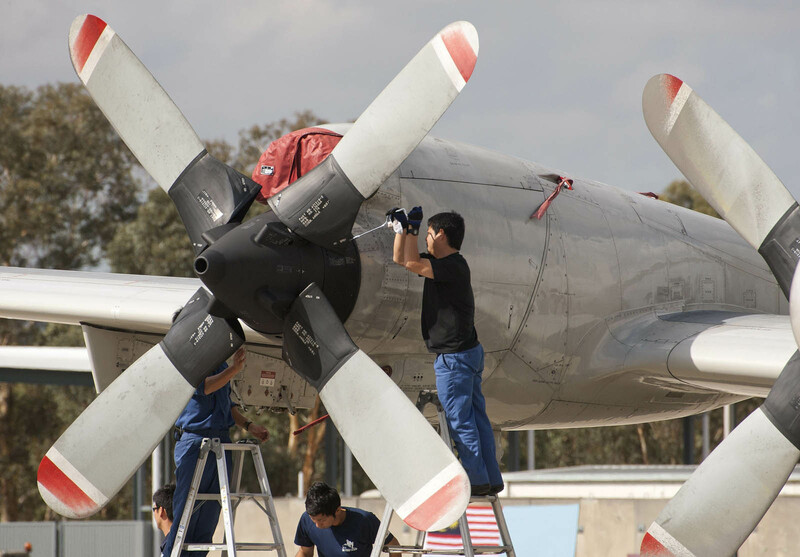 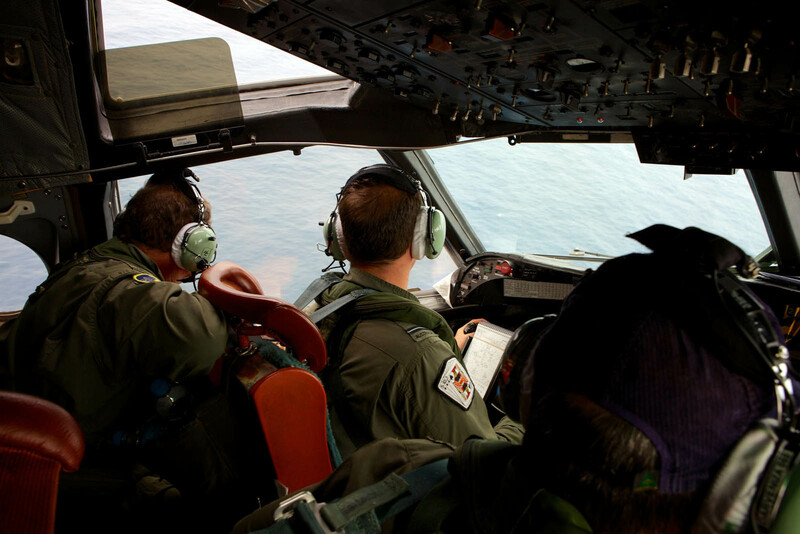 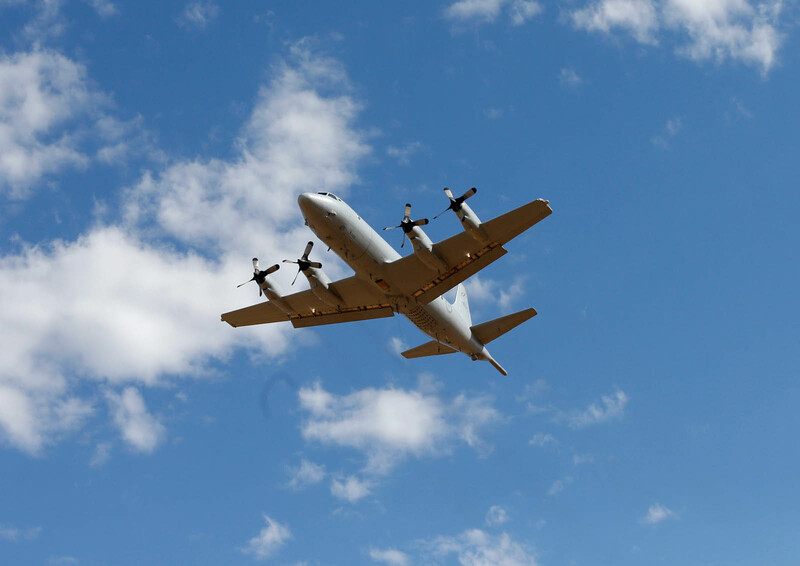 "It has been determined that the current weather conditions are resulting in heavy seas and poor ­visibility, and would make any air search activities ineffective and potentially hazardous," the JAAC said. 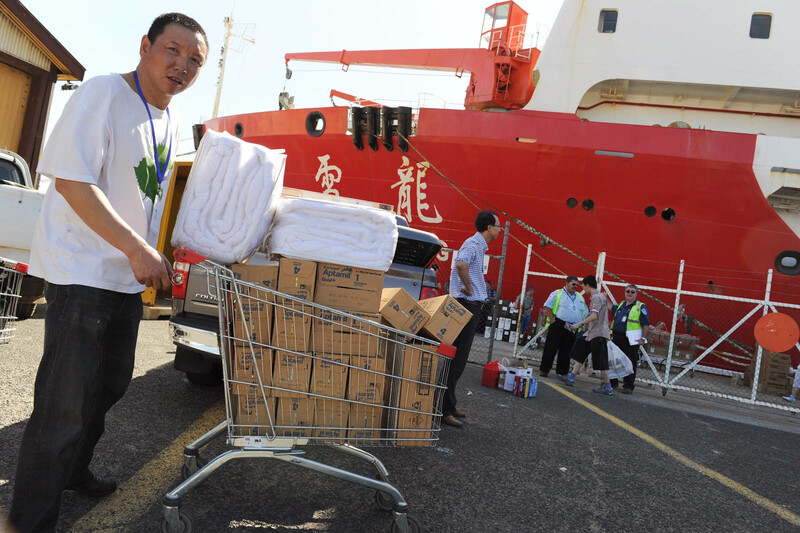 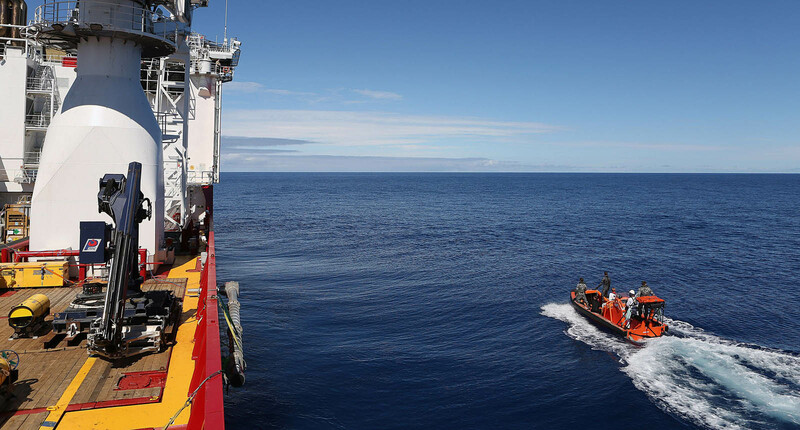 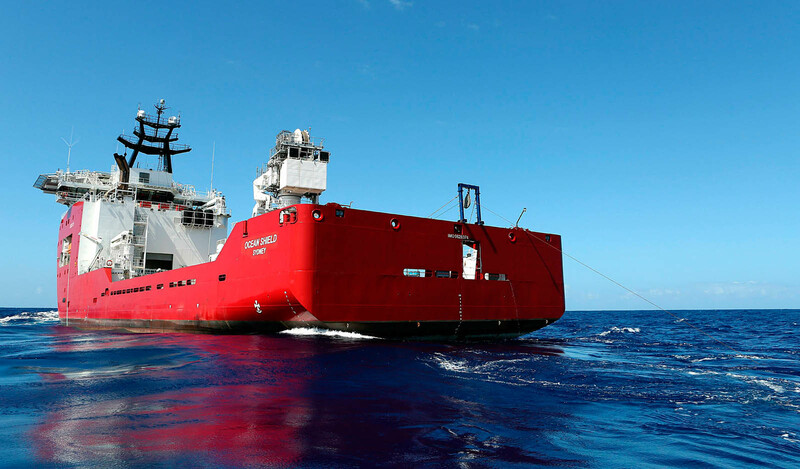 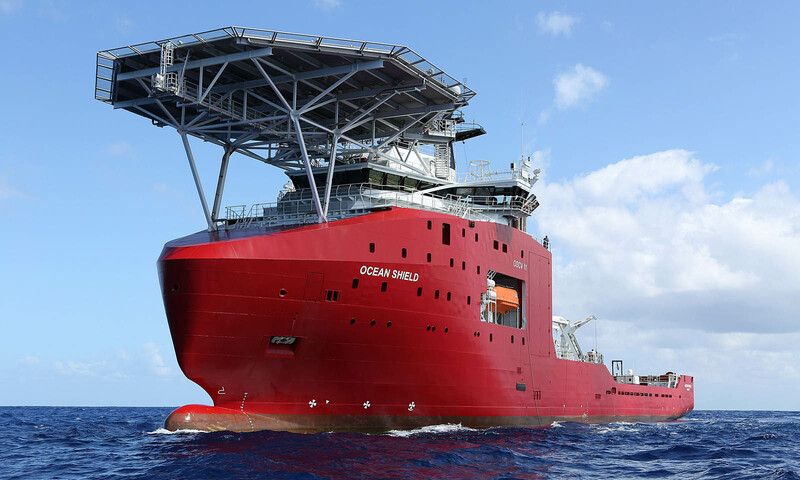 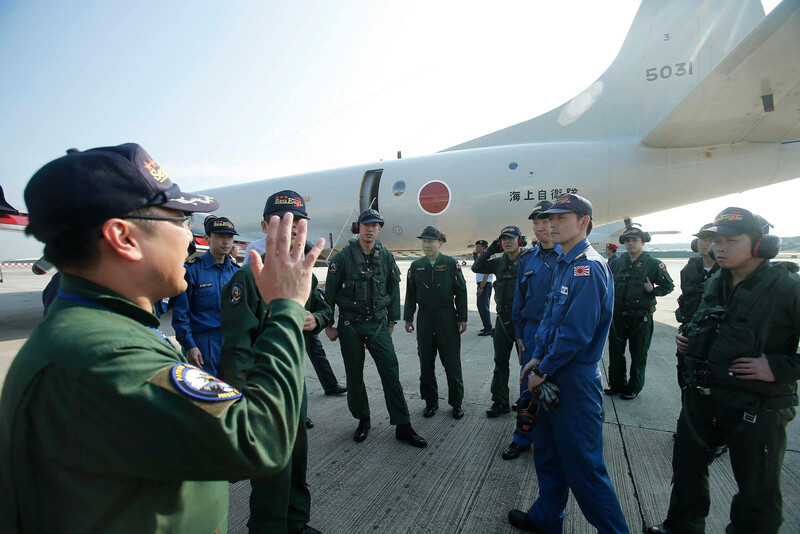 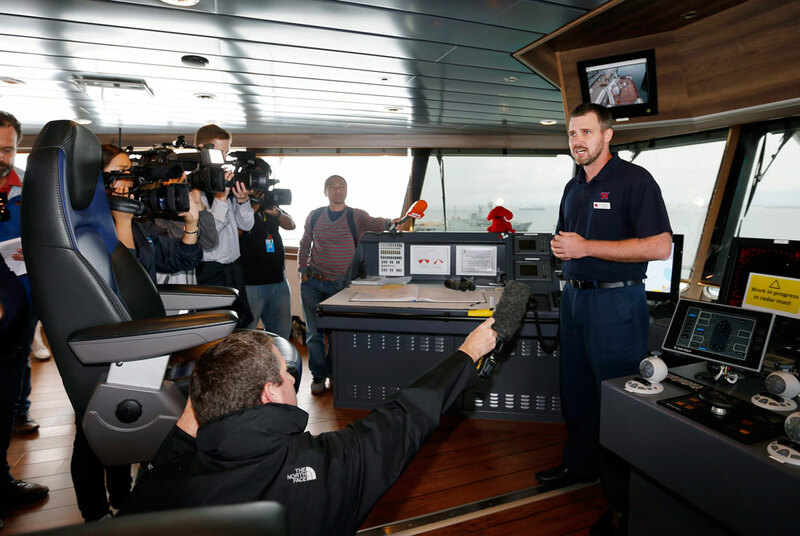 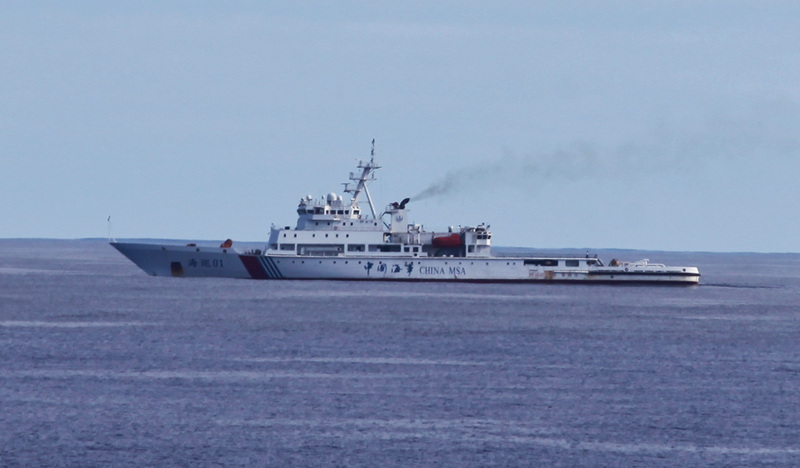 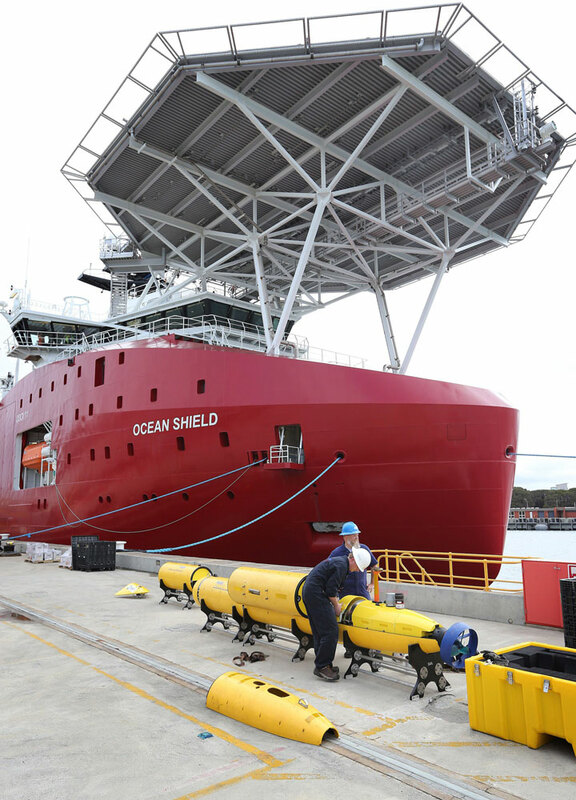 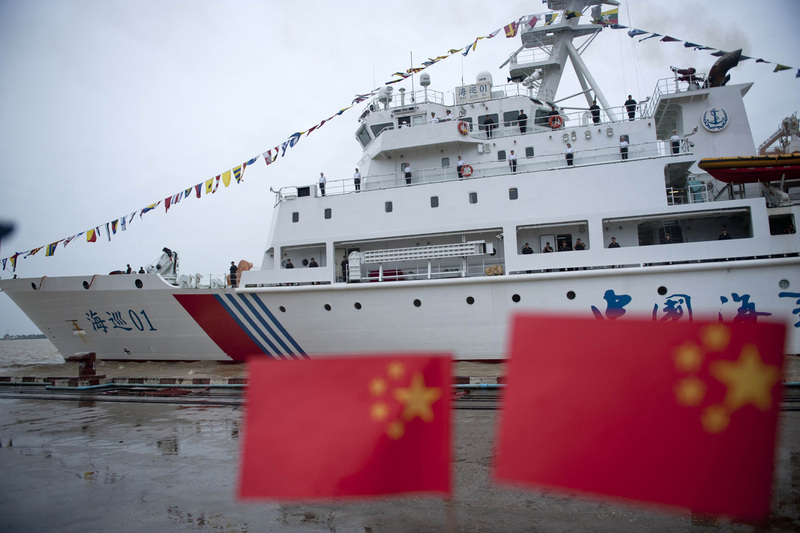 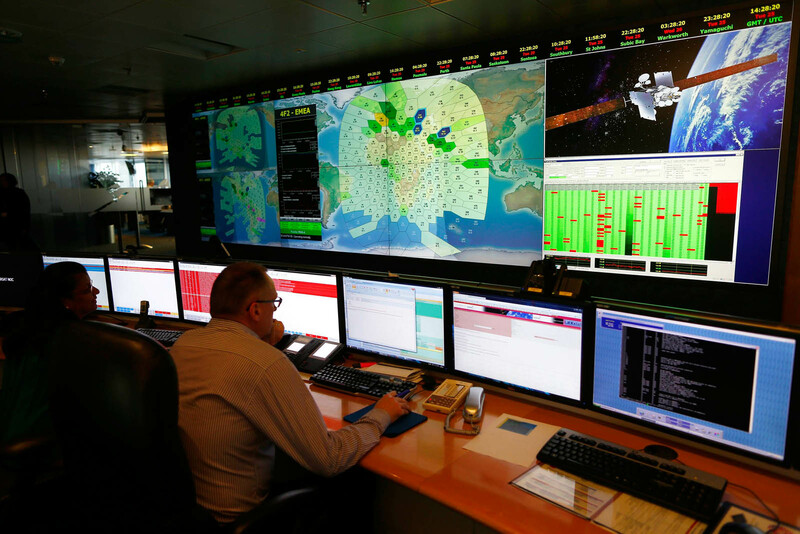 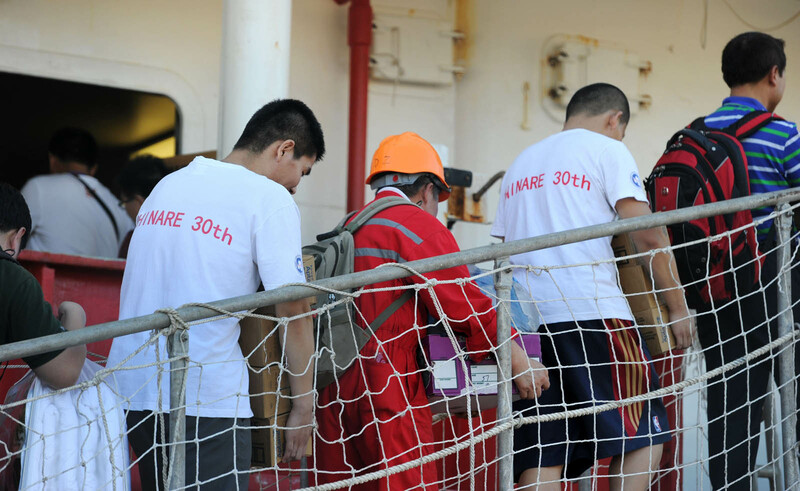 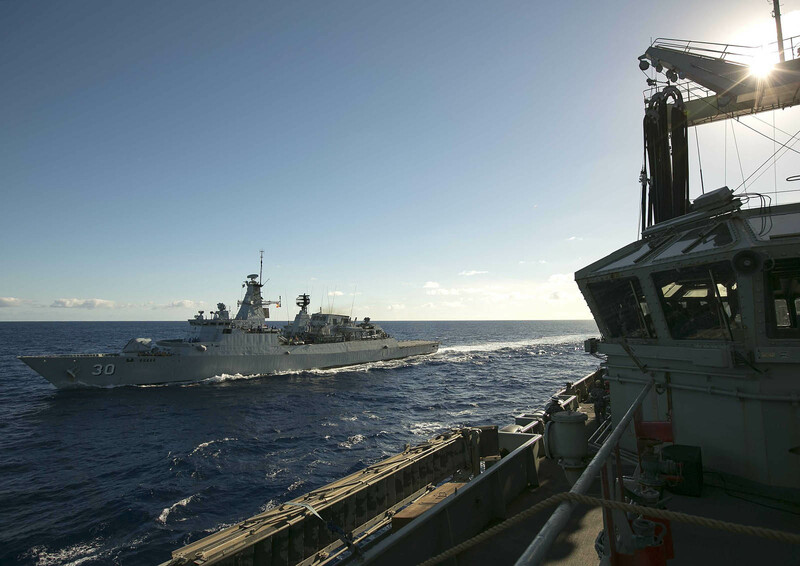 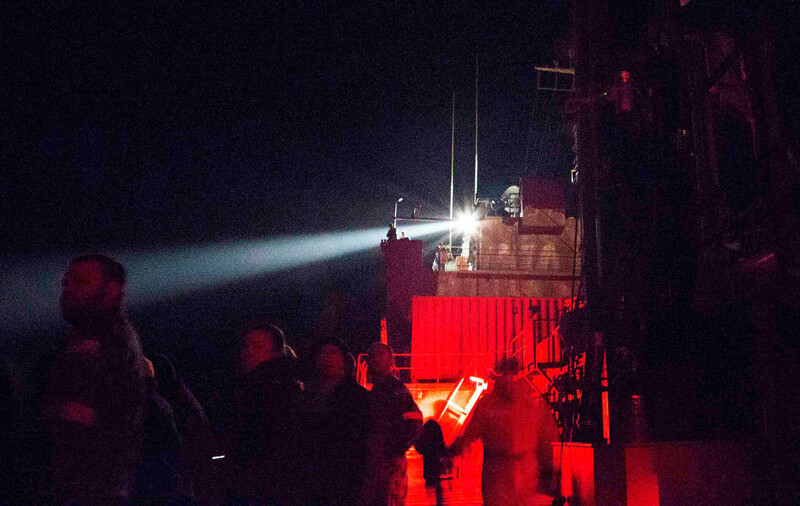 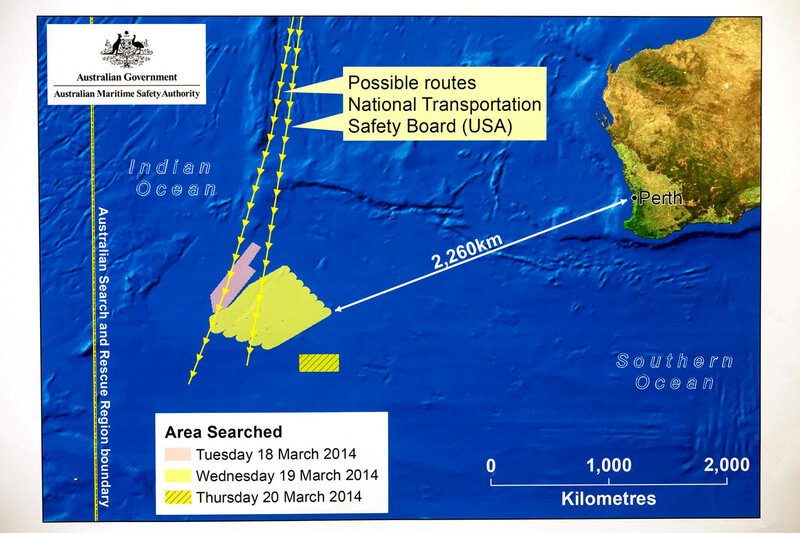 "But the 10 ships involved in today's search will continue with their planned activities." 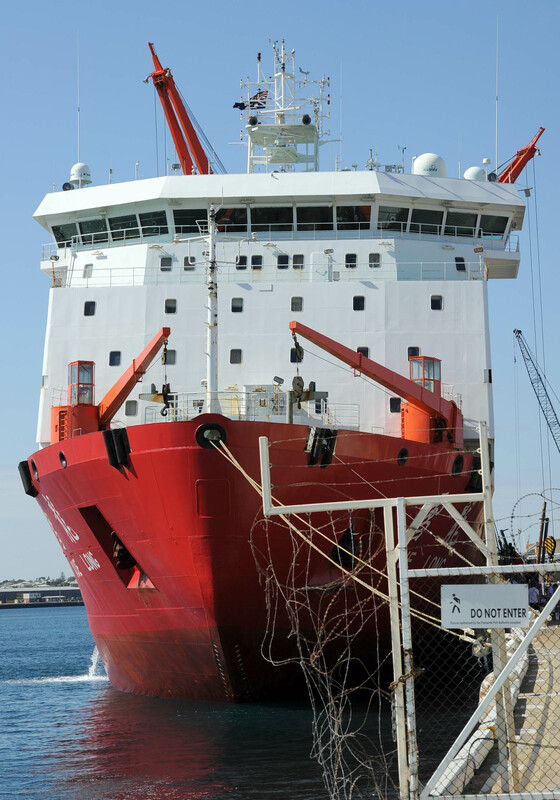 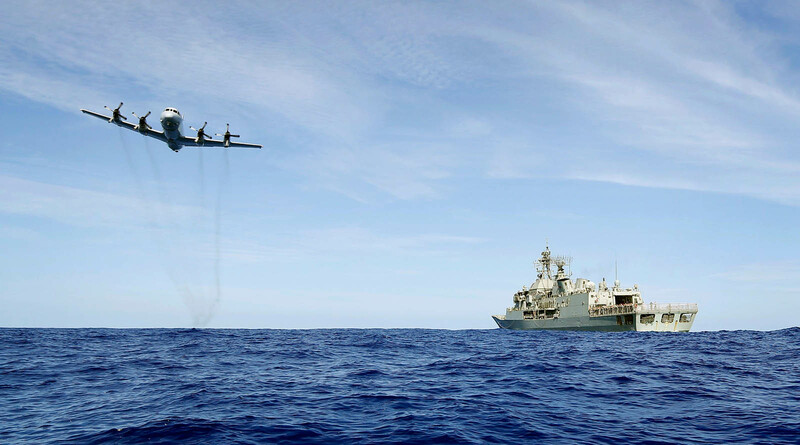 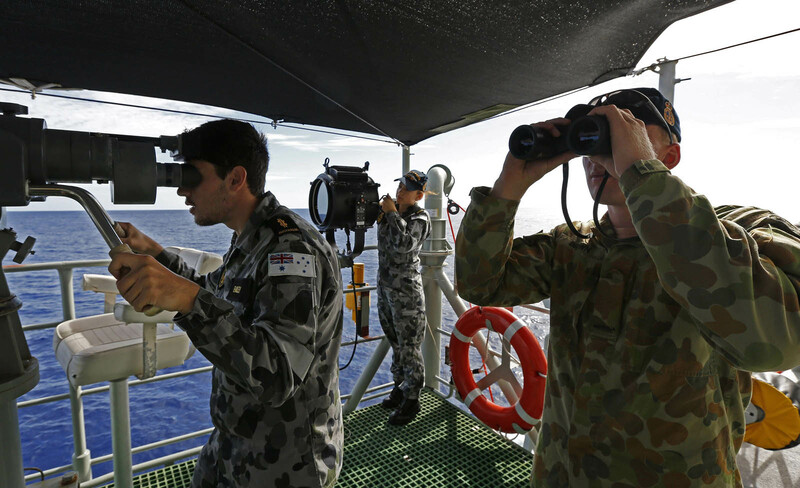 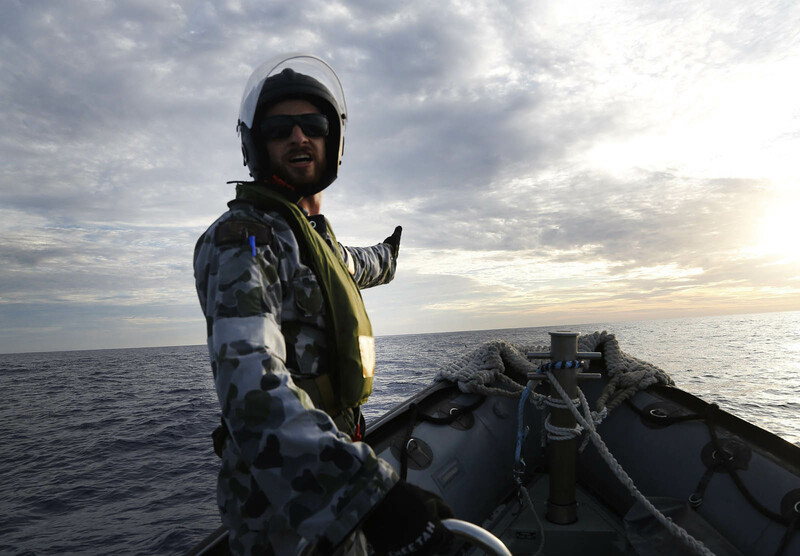 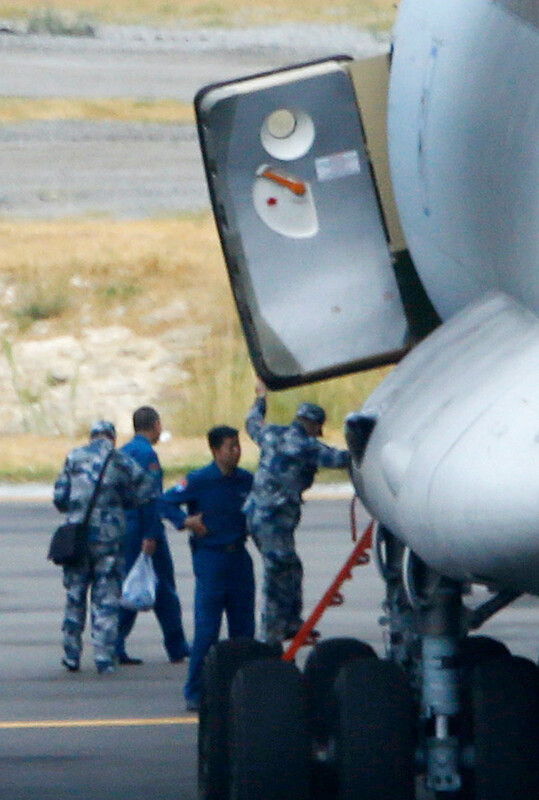 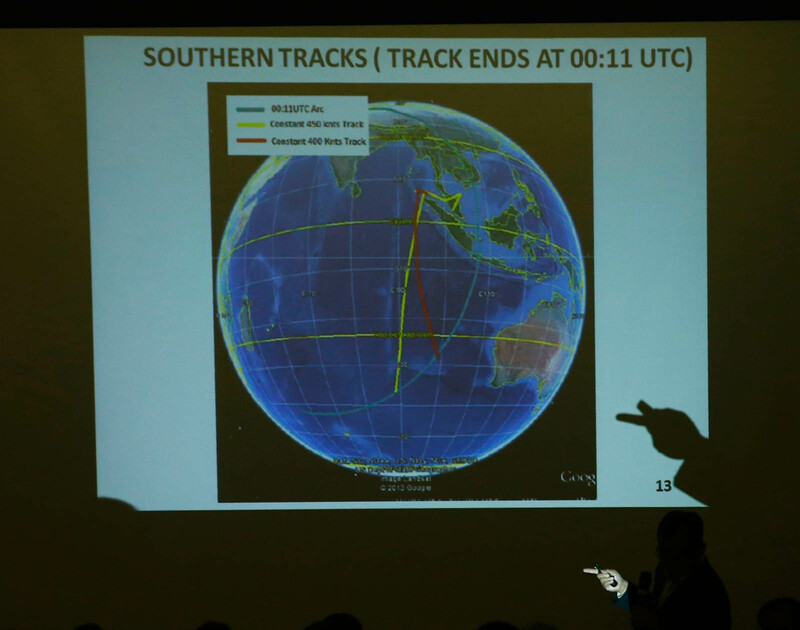 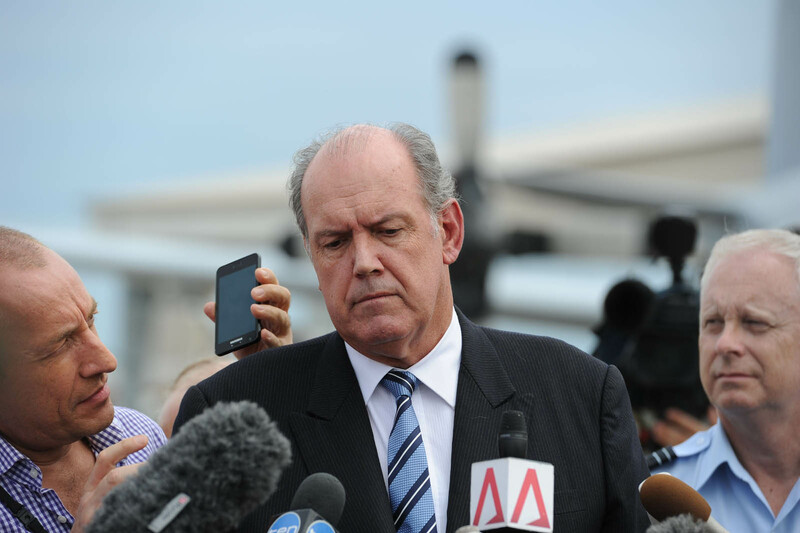 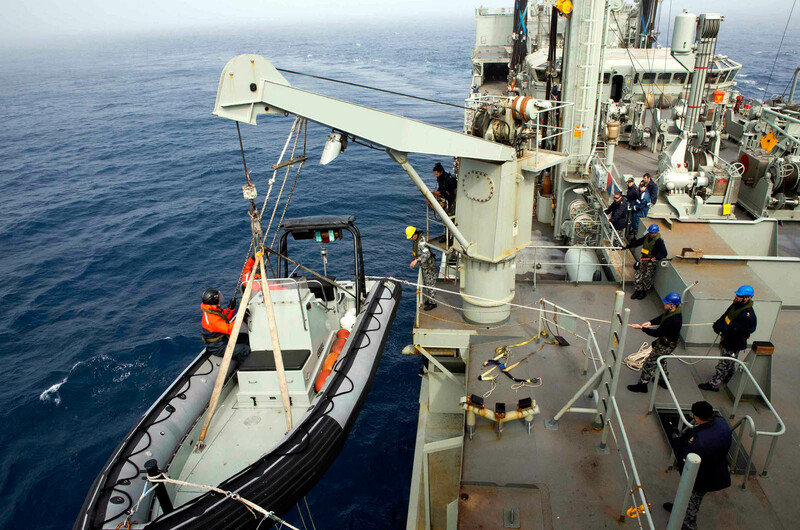 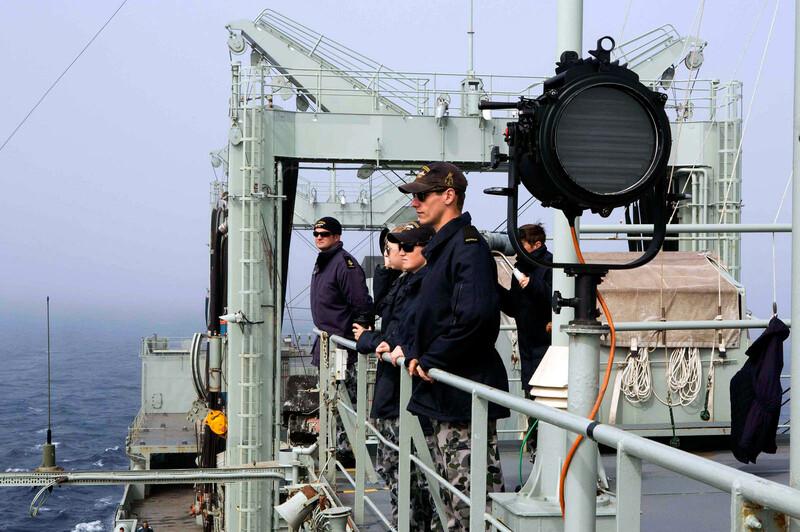 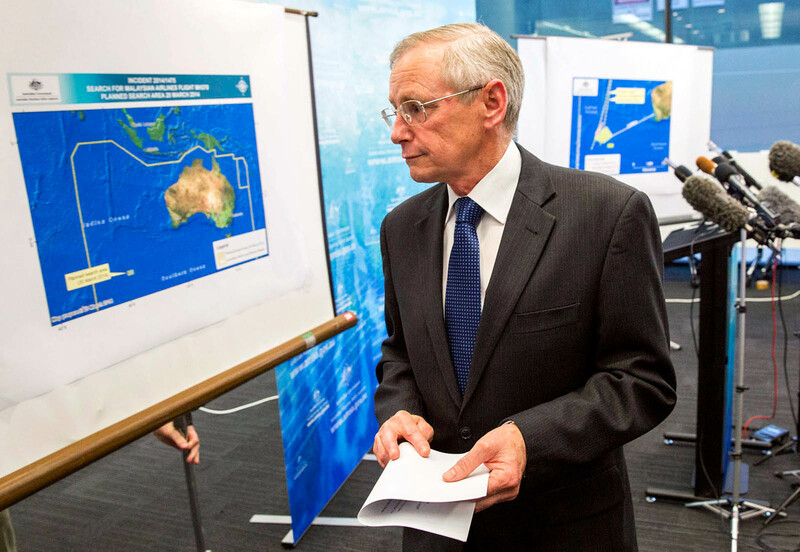 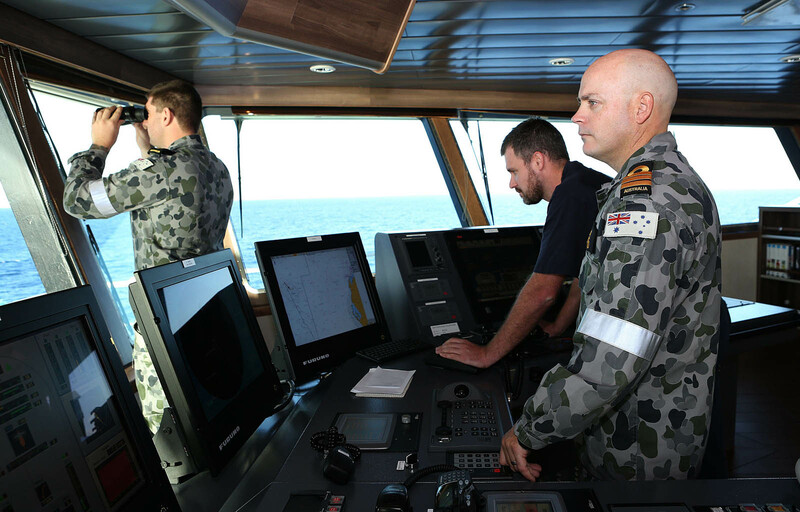 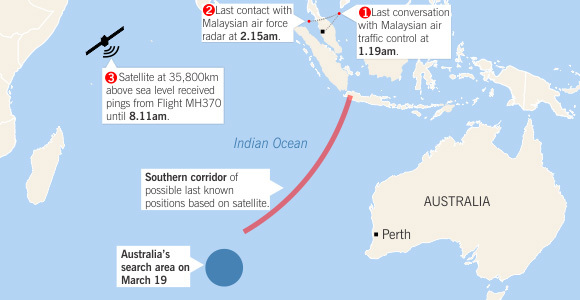 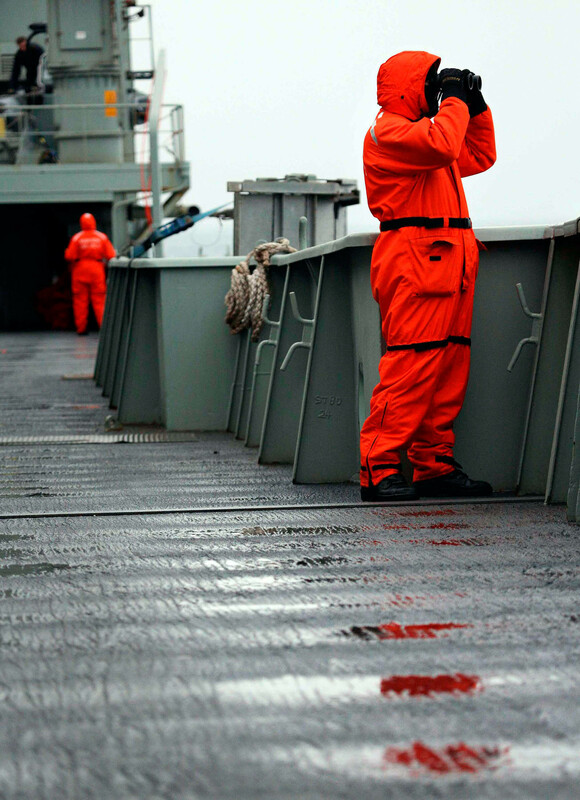 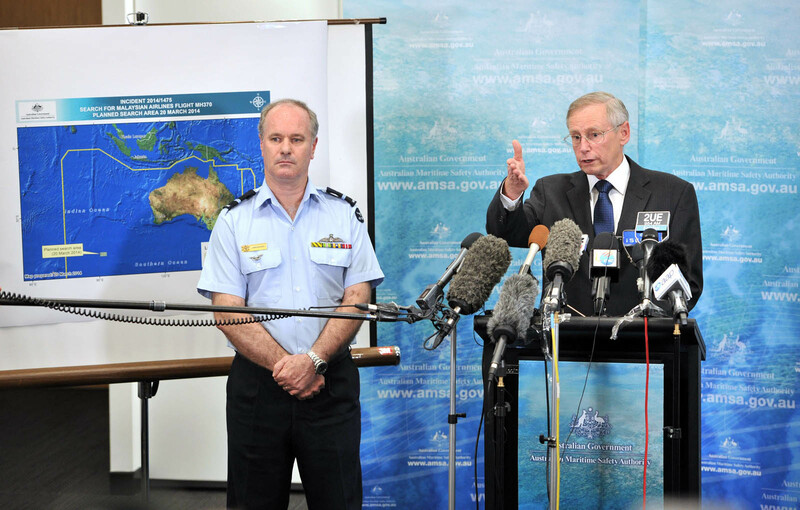 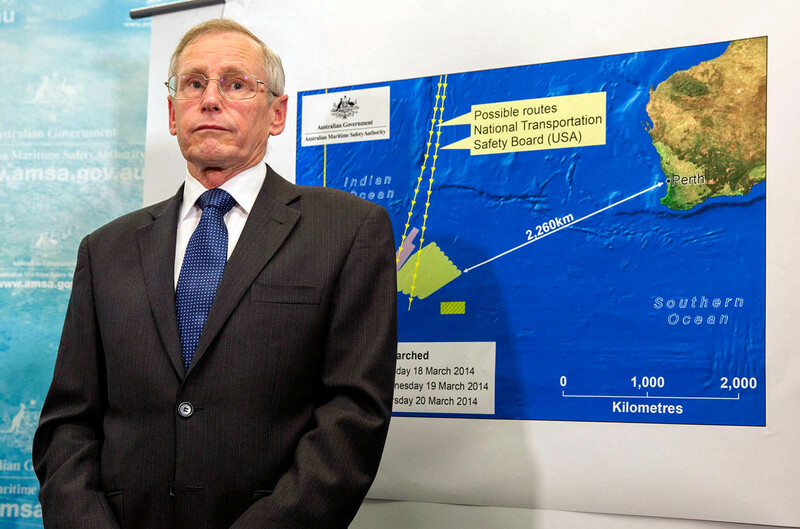 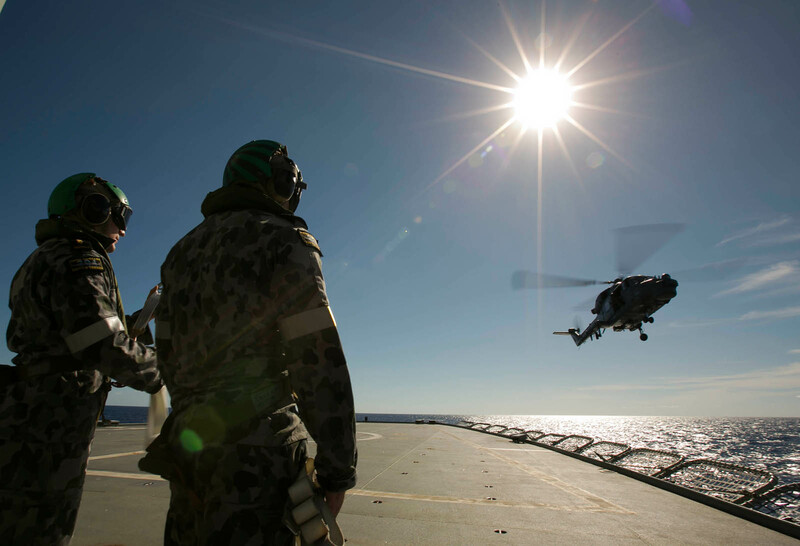 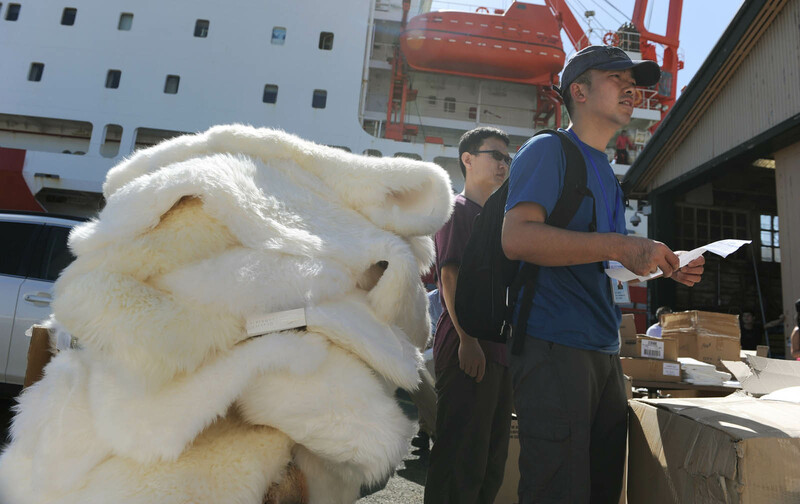 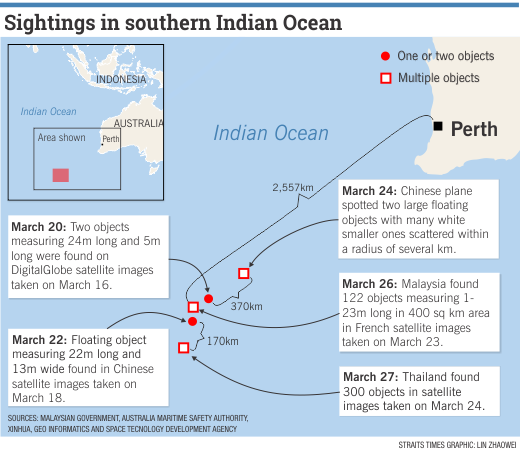 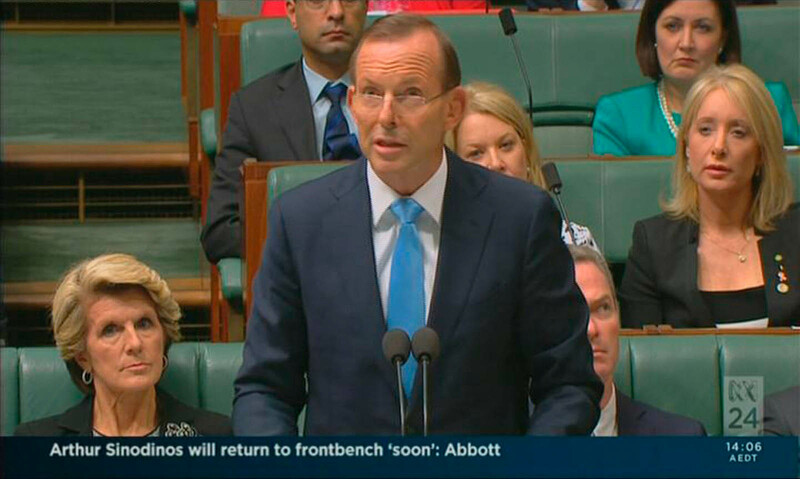 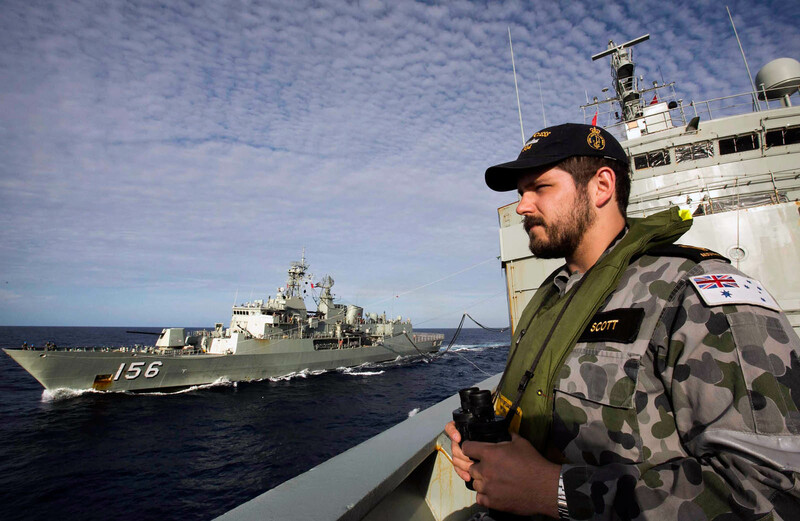 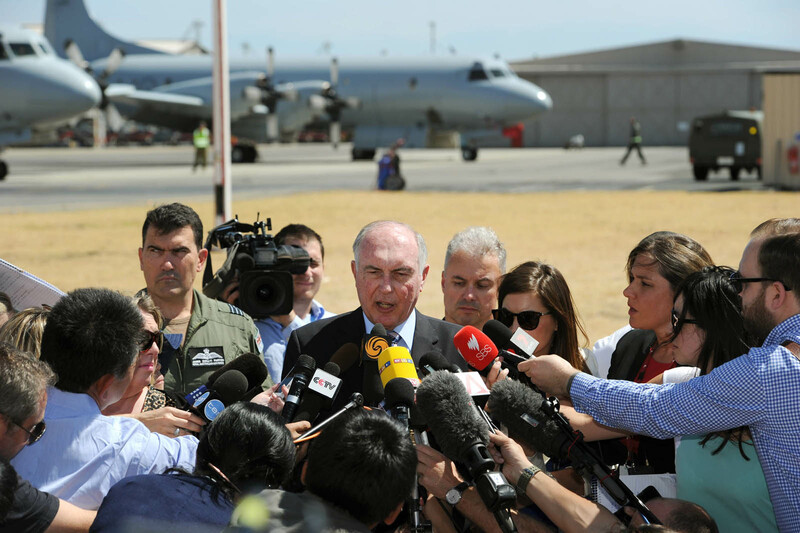 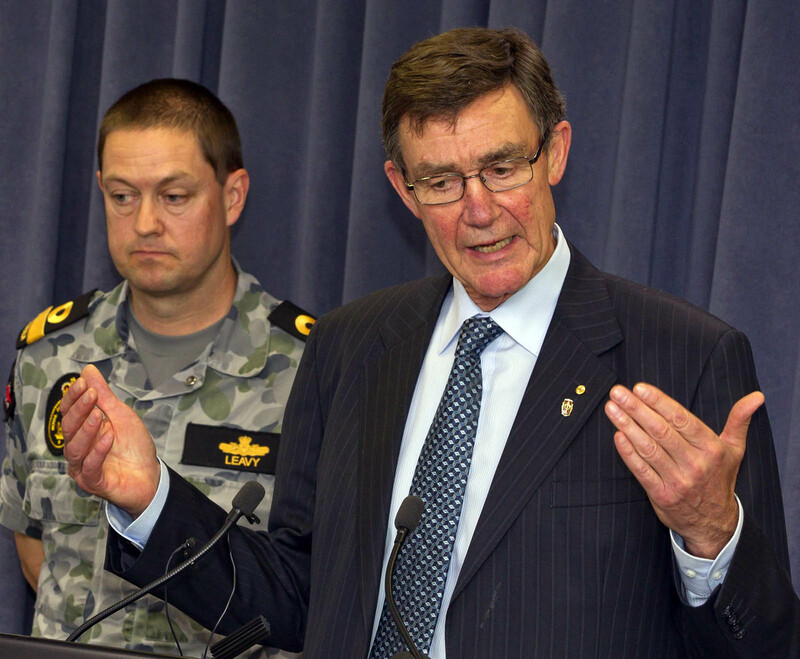 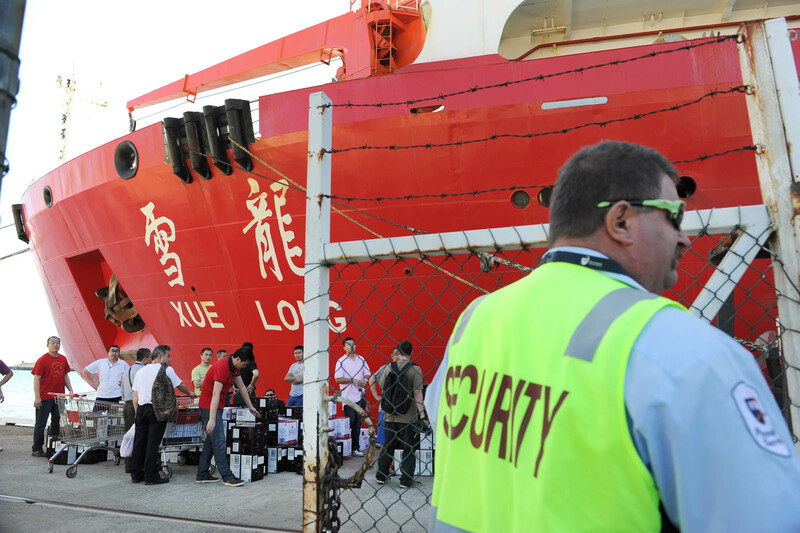 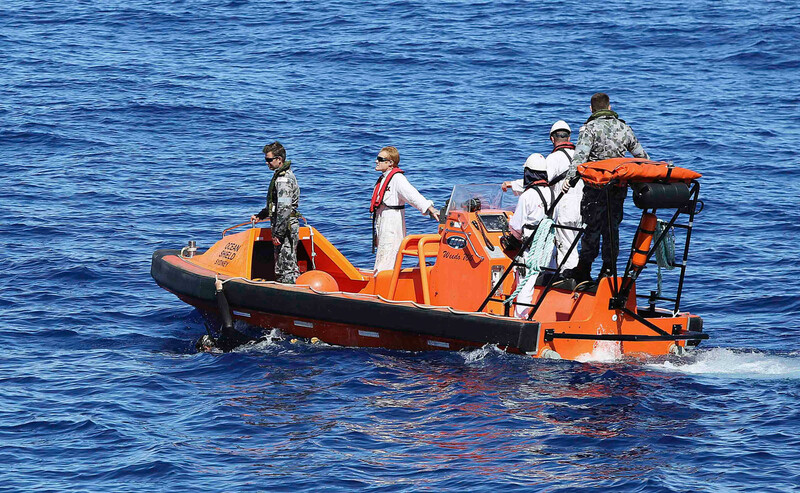 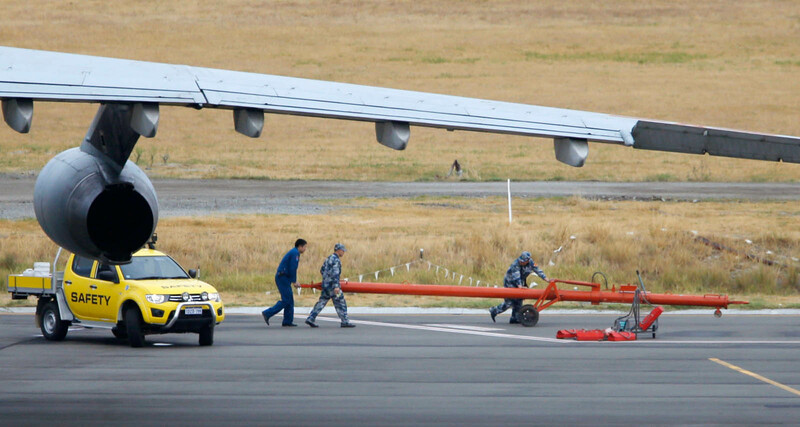 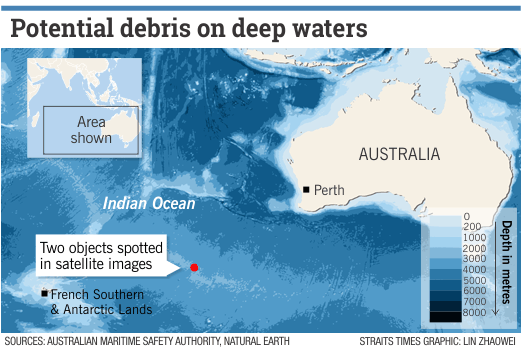 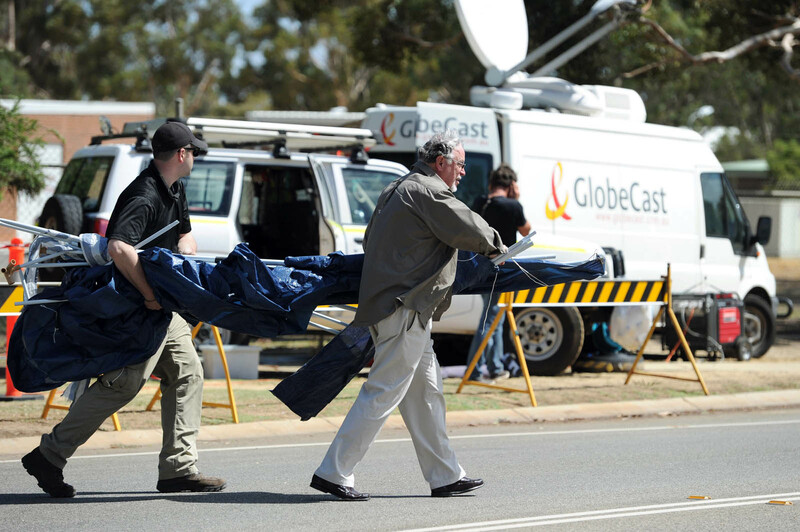 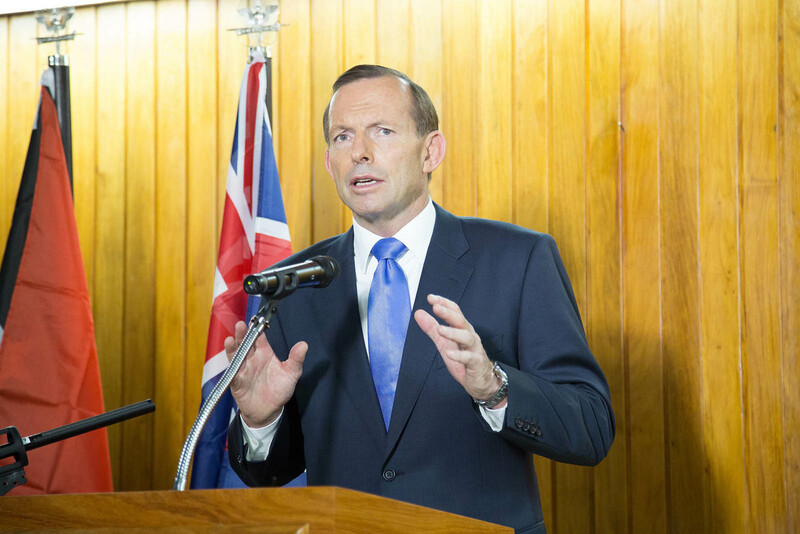 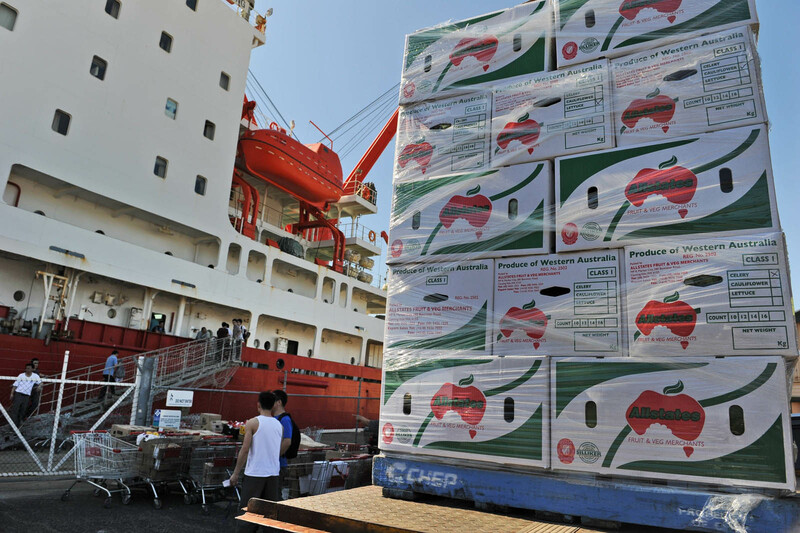 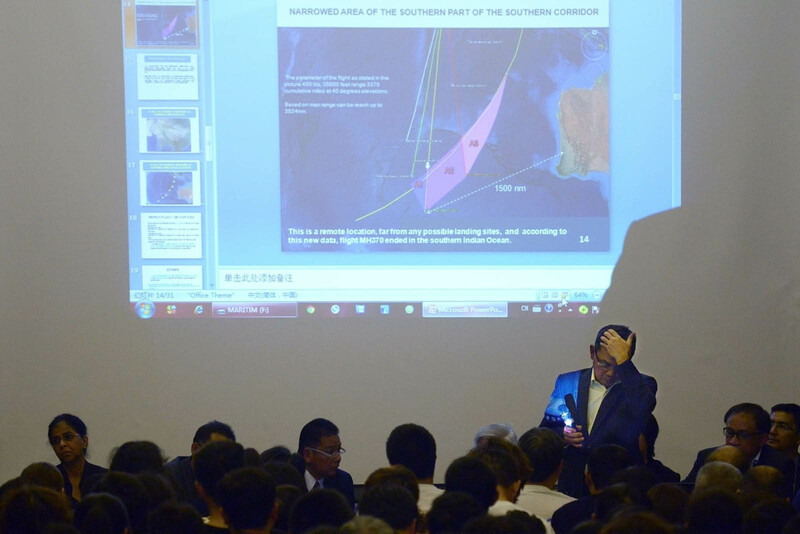 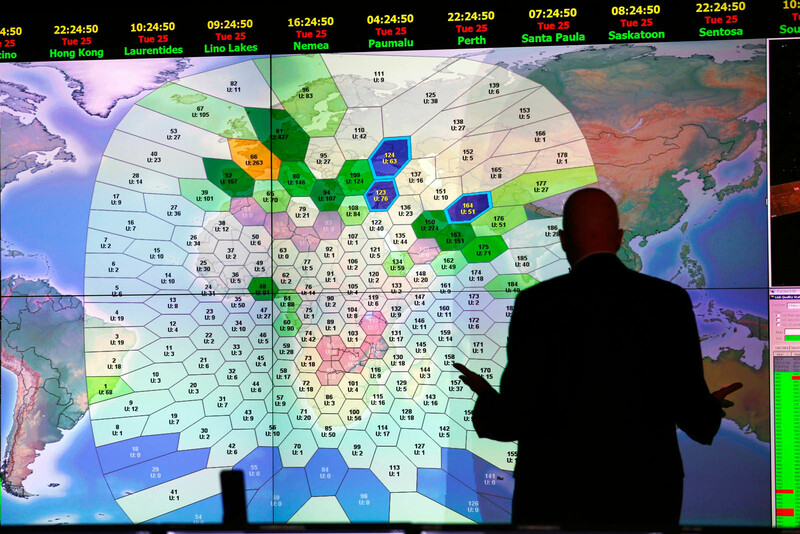 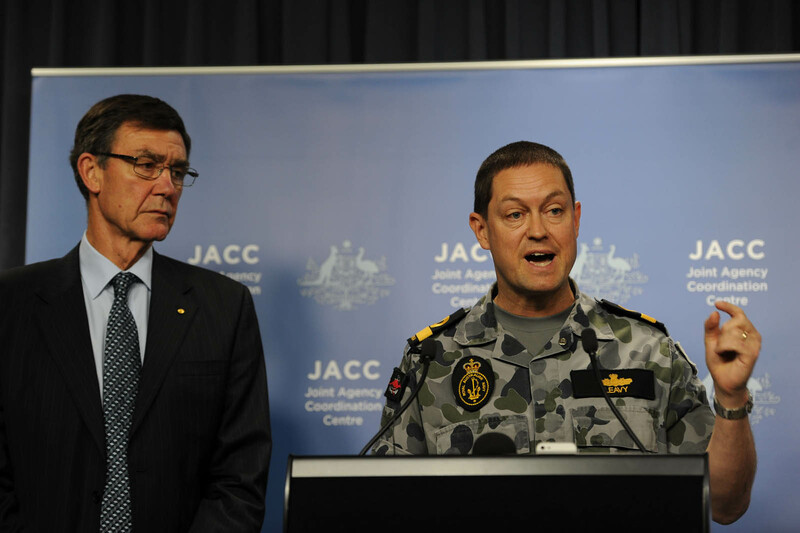 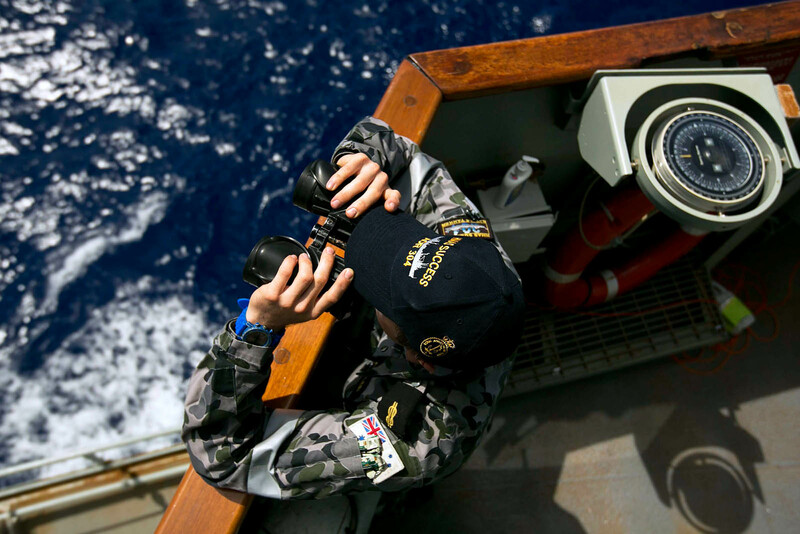 It said the Australian Maritime Safety Authority had planned a ­visual search area totalling about 49,491 sq km. 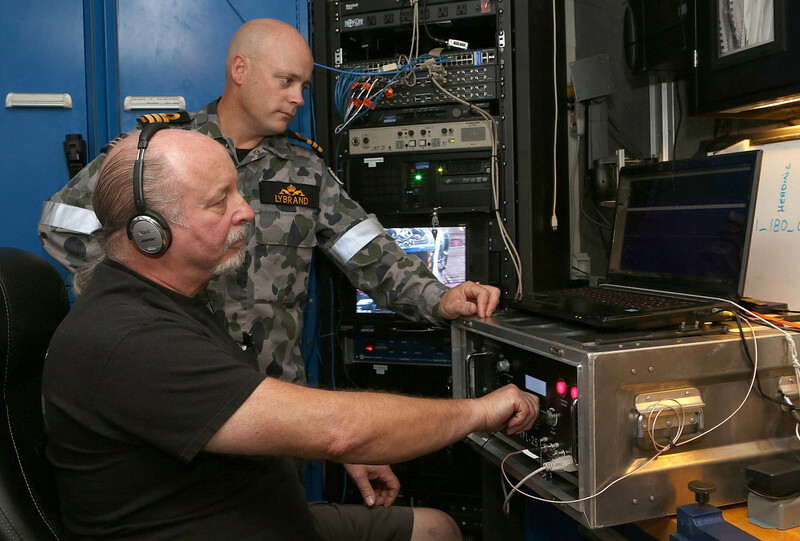 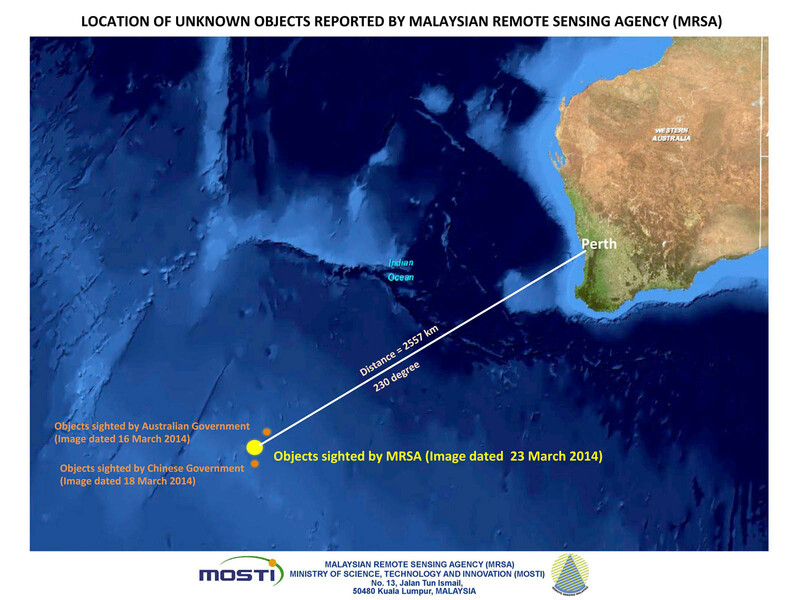 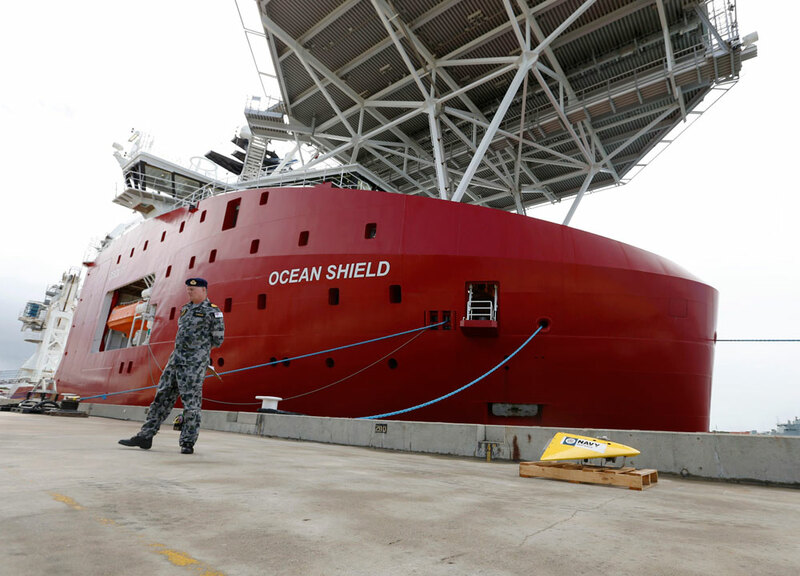 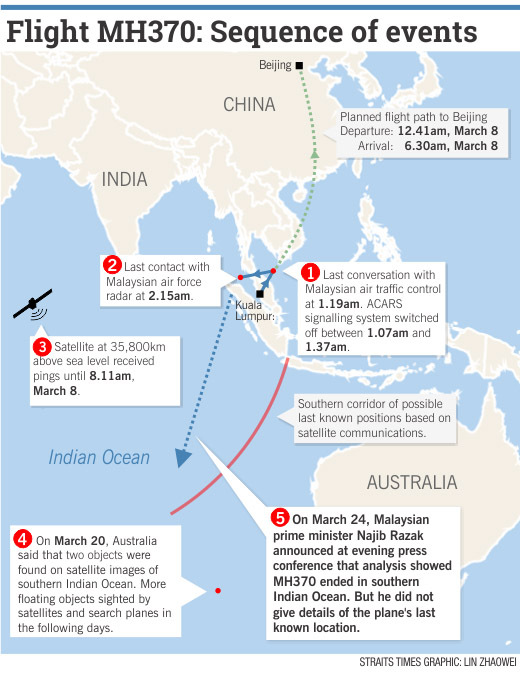 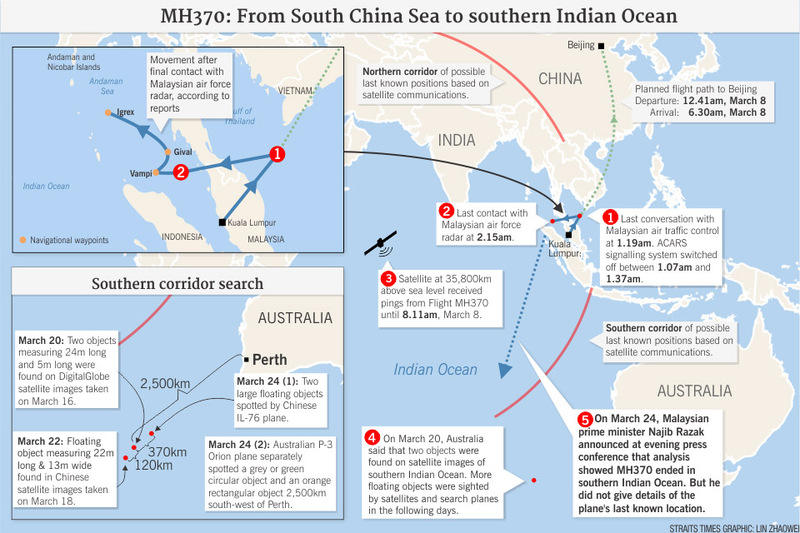 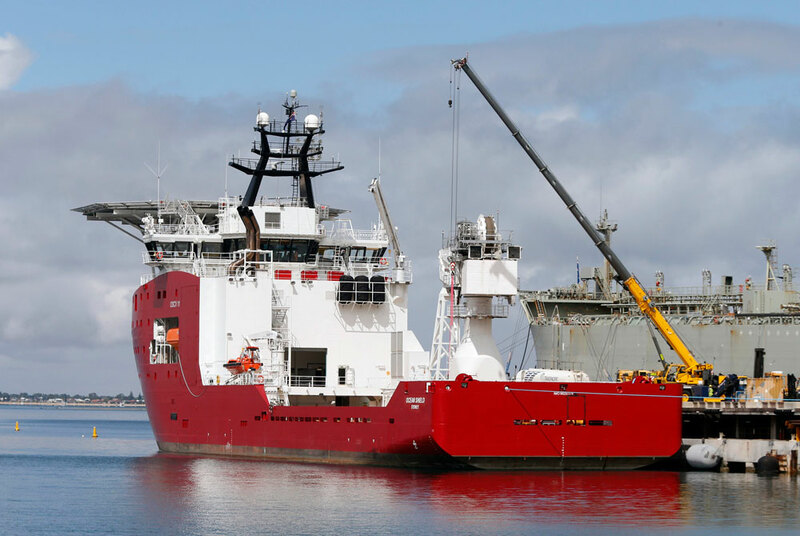 "The centre of the search area lies approximately 1,584km north-west of Perth," it added. 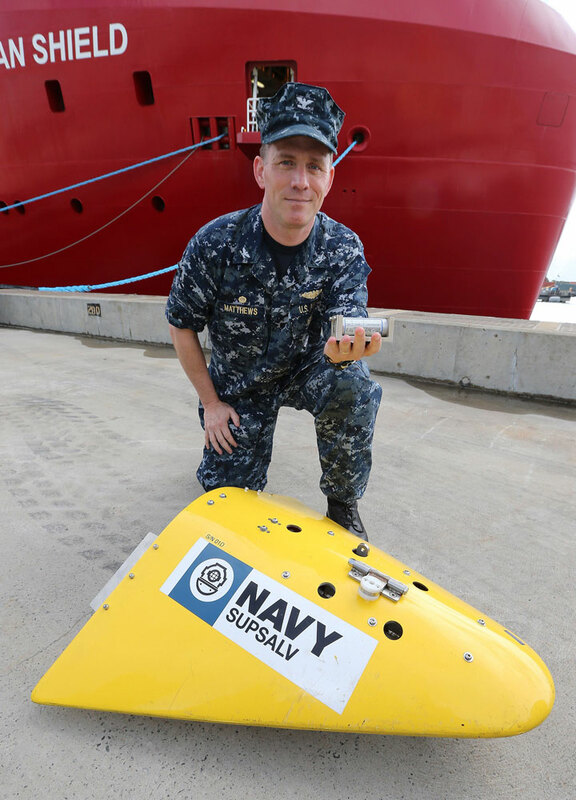 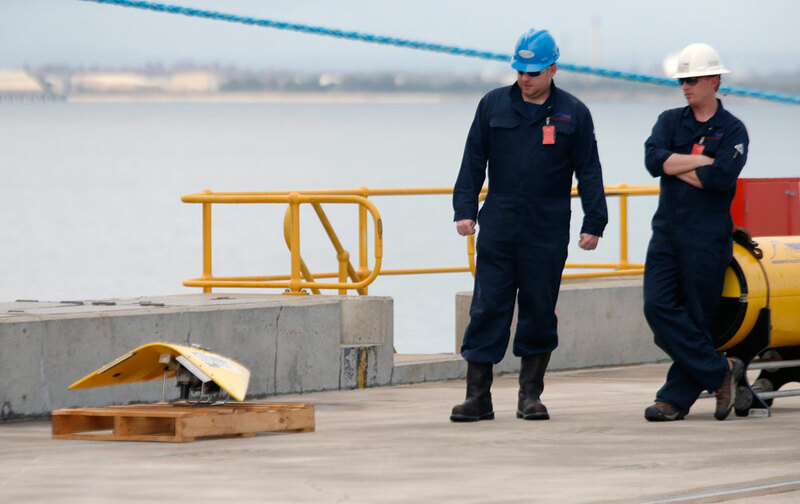 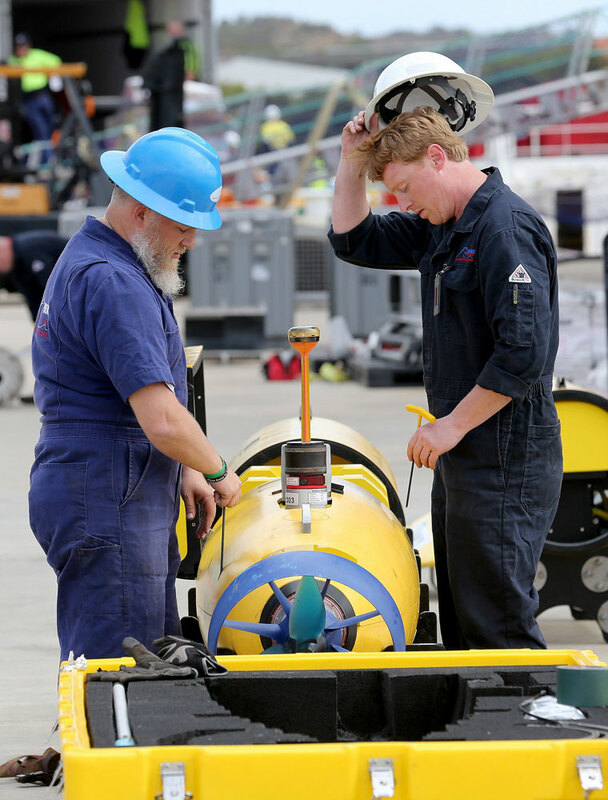 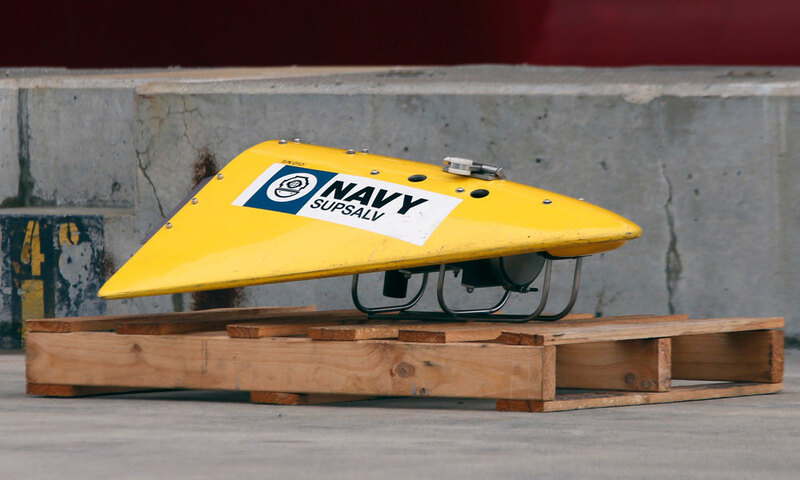 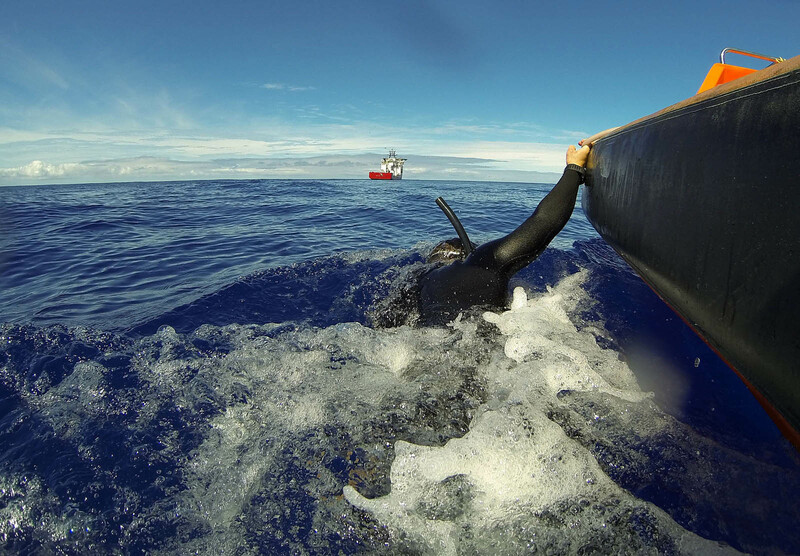 The JACC said Bluefin-21 AUV was completing mission nine in the underwater search area. 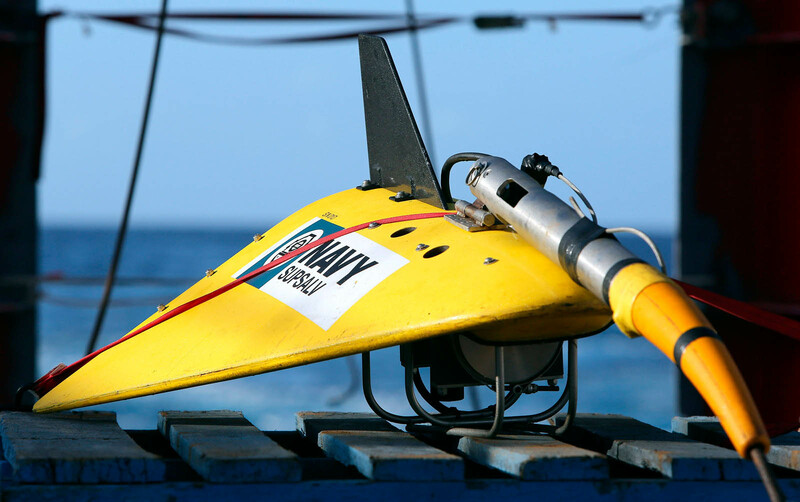 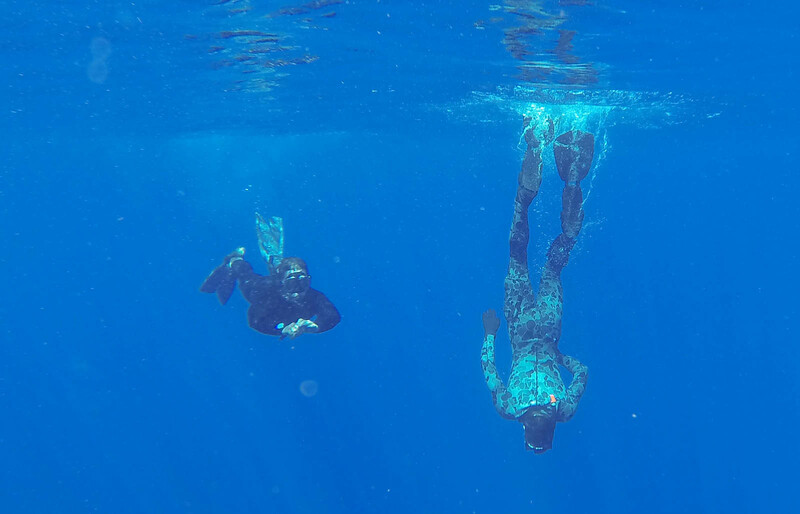 "Bluefin-21 has searched approximately two-thirds of the focused underwater search area to date," it said. 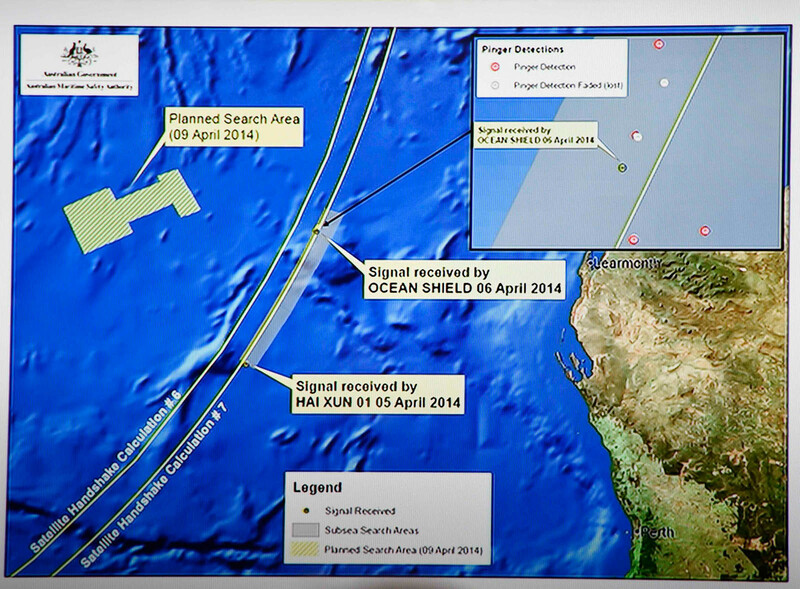 "No contacts of interest have been found to date." 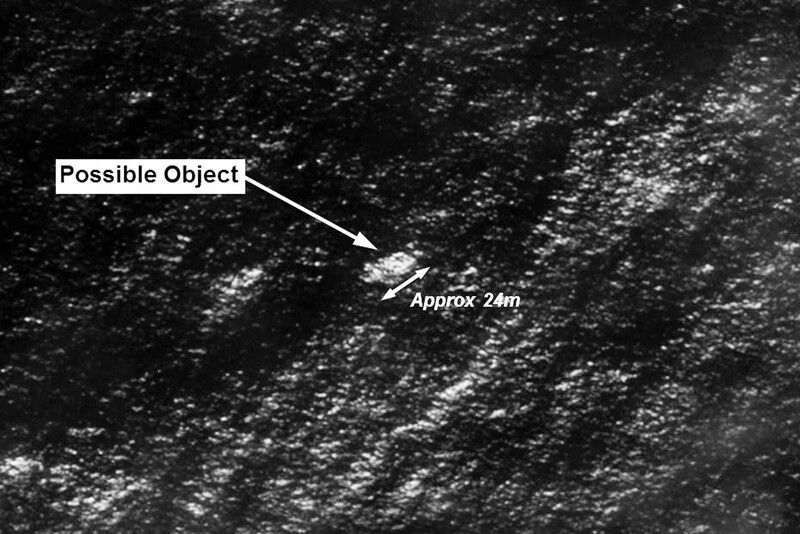 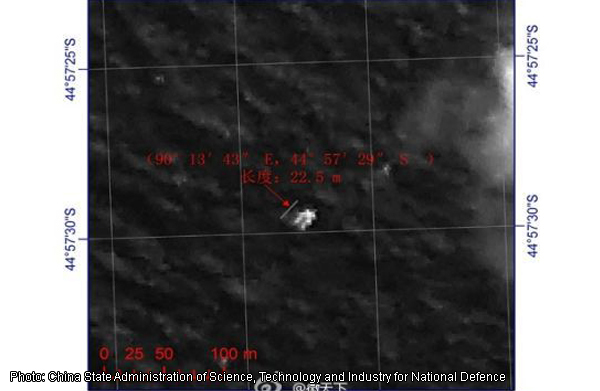 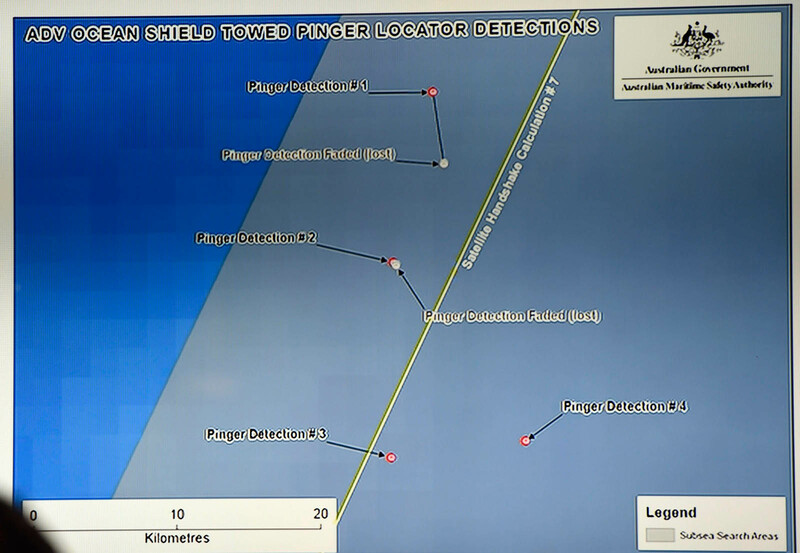 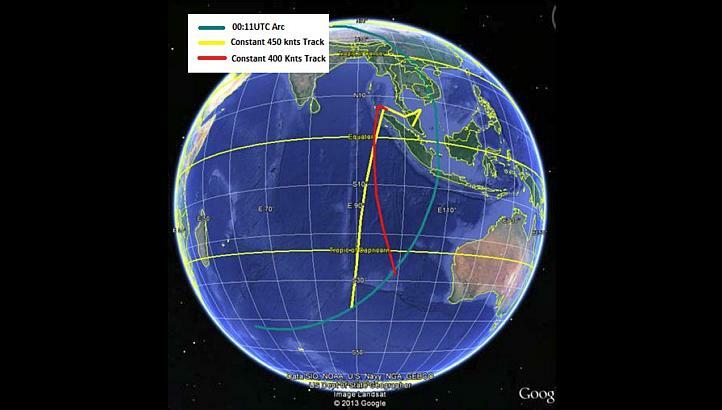 The focused underwater search area is defined as a circle of 10km radius around the second Towed Pinger Locator detection, which occurred on April 8.